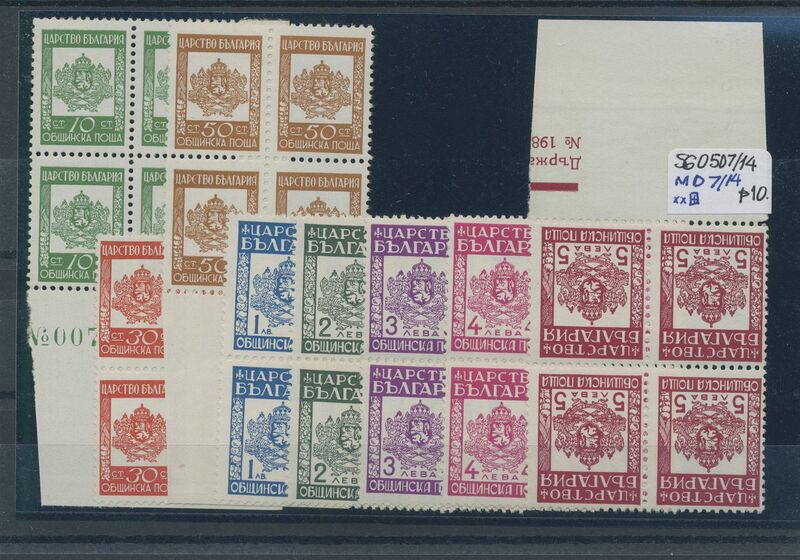 34437 ungebraucht (hinged) * gestempelt (marked) postfrisch (never hinged) ** 1881/1920, Bulgaria/area, mint and used lot on retail cards, incl. 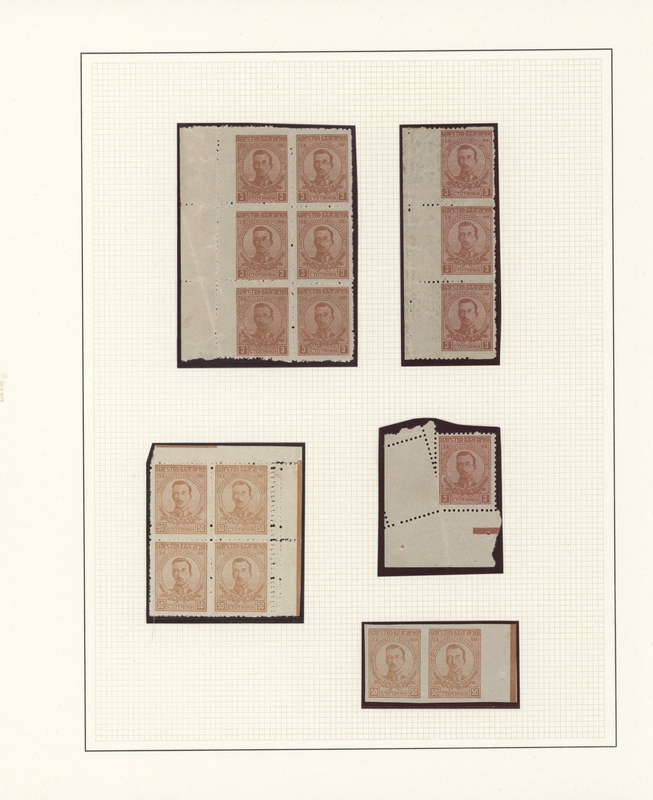 1881 5st. 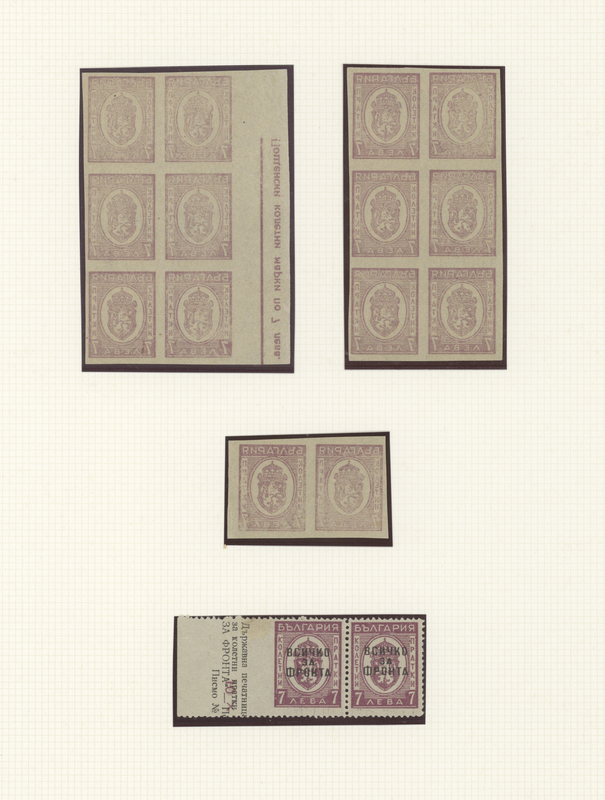 mint block of four (cert. 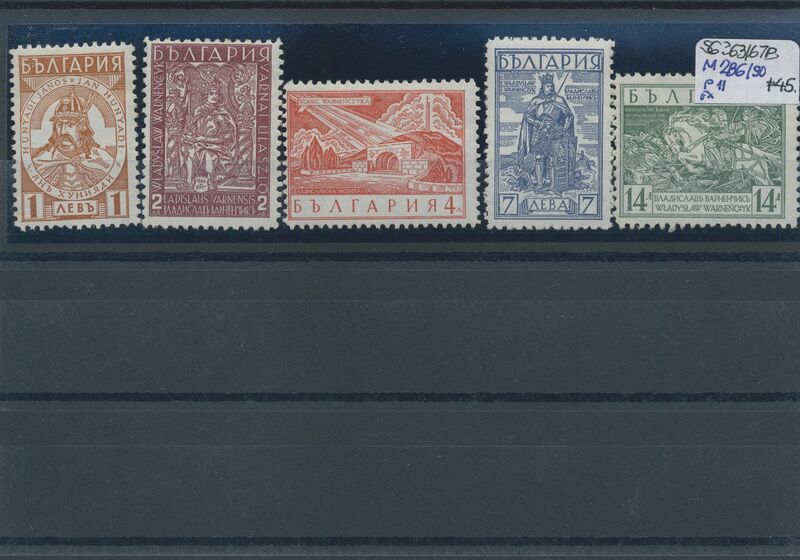 Ceremuga), some Thrace and Eastern Rumelia. 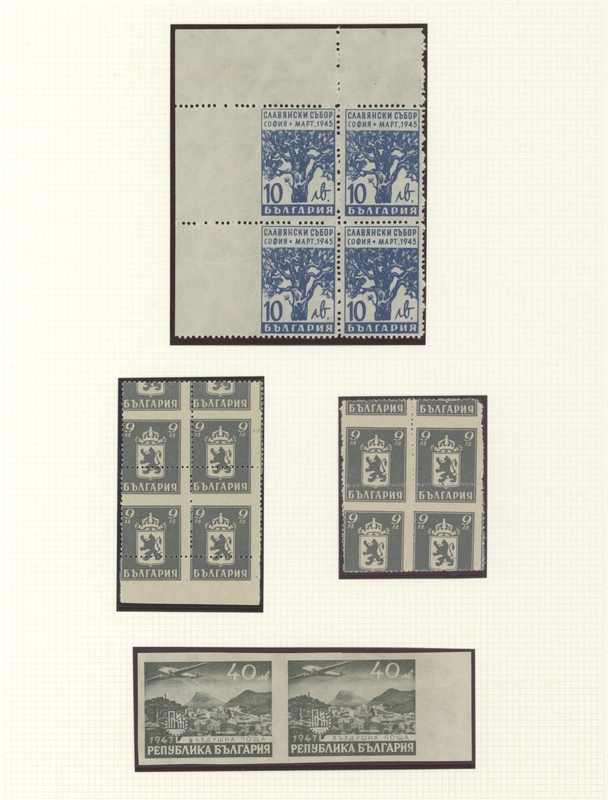 34439 ungebraucht (hinged) * postfrisch (never hinged) ** gestempelt (marked) 1881/1975, lot in 60 page stockbook comprising old to modern material. 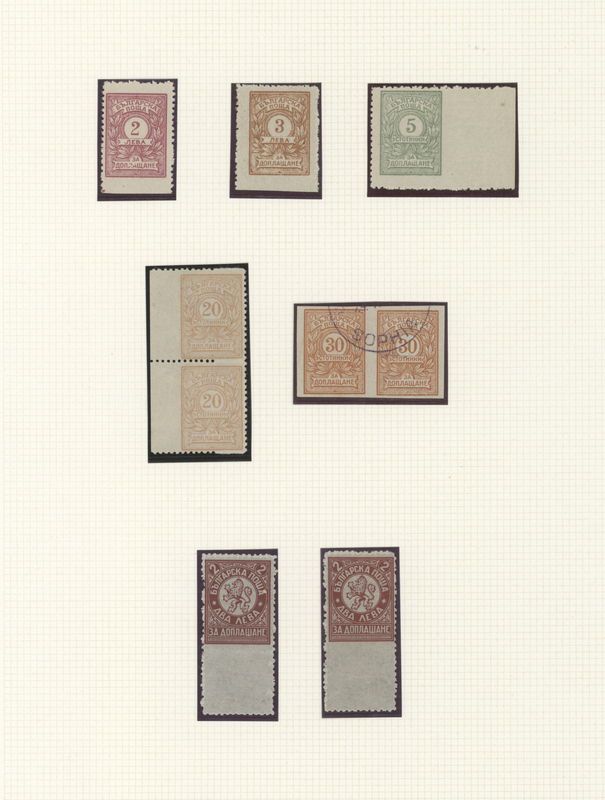 Please view. 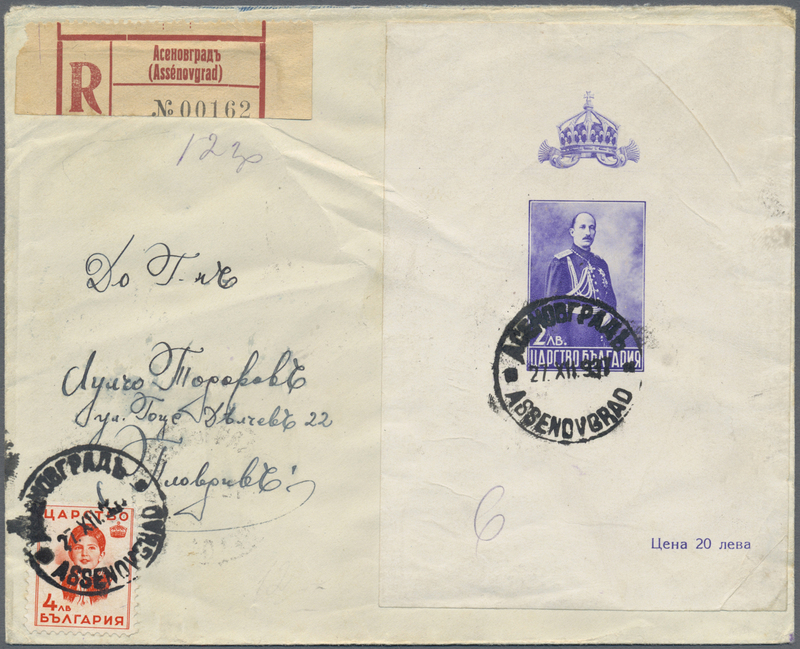 34442 Brief (cover) 1901/1930, assortment of 19 covers/cards, comprising interesting frankings, nice combinations, registered and censored mail etc. 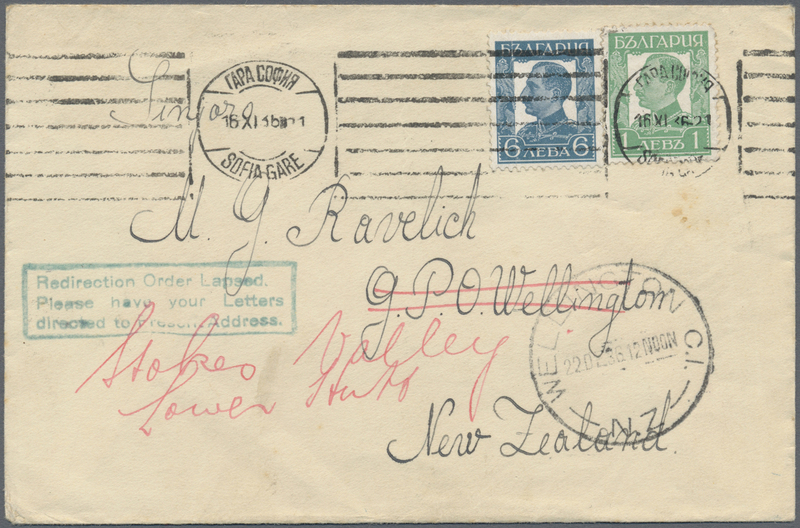 34443 Brief (cover) 1901/1931, assortment of 20 covers/cards, comprising interesting frankings, nice combinations, registered, censored and airmail etc. 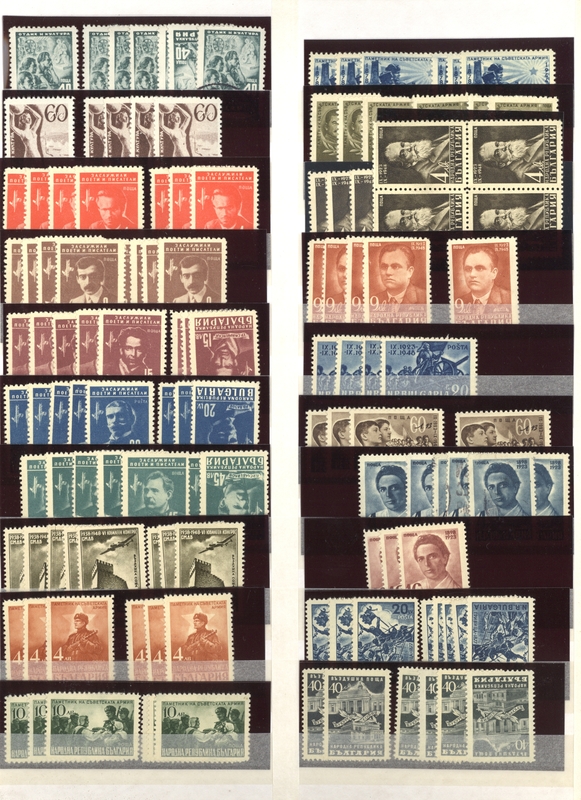 34444 postfrisch (never hinged) ** ungebraucht (hinged) * ungebraucht ohne Gummi (unused without gum) (*) Briefstück (on piece) 1907/1958, mainly up to 1924, SPECIALITIES, chiefly mint assortment on retail cards, comprising e.g. 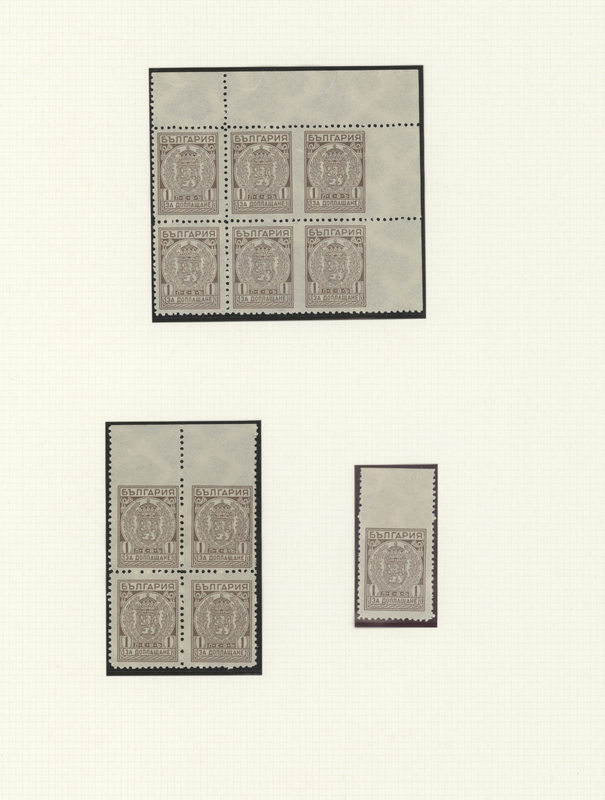 apprx. 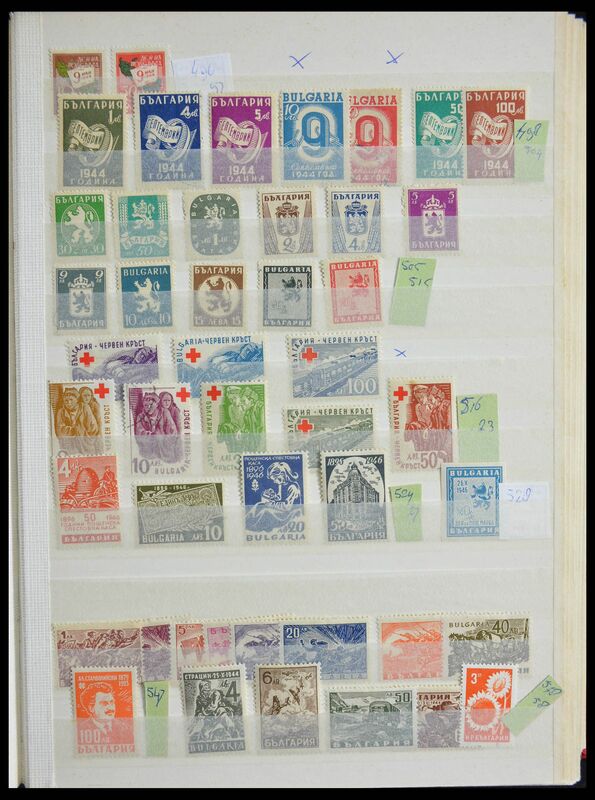 50 imperfs 1907/1920 (also incl. 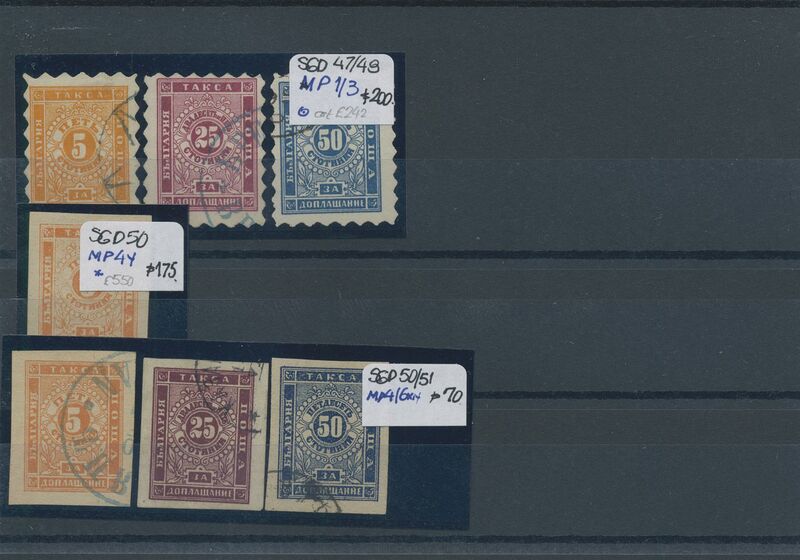 blocks of four), distinctive flaws etc. 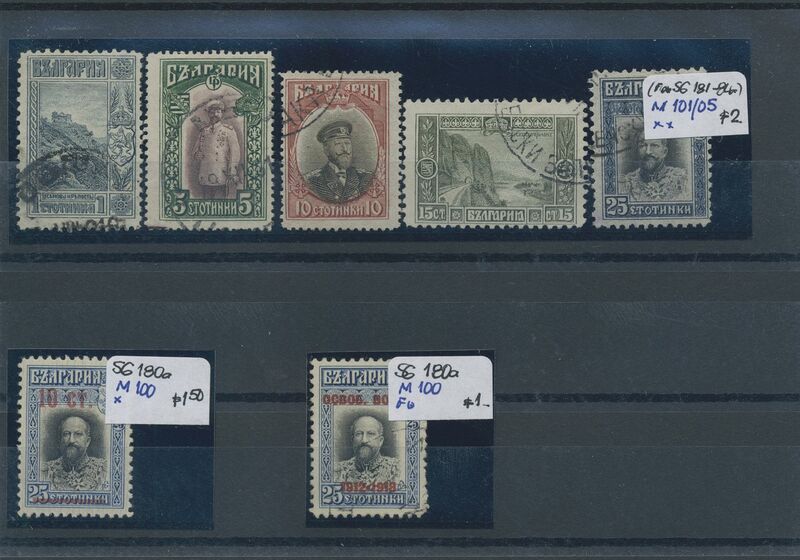 Interesting lot for the specialist! 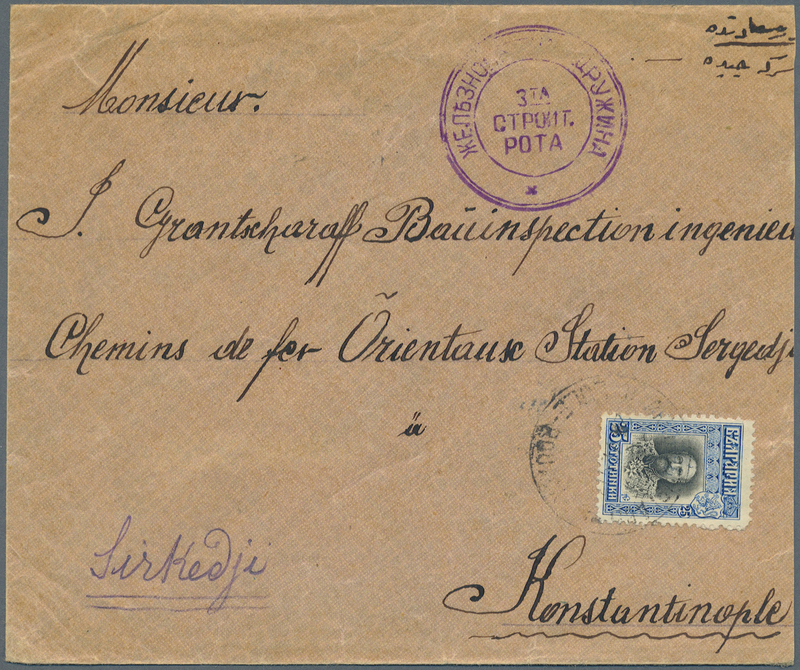 34445 Brief (cover) 1908/1926, assortment of 17 covers/cards, comprising interesting frankings, nice combinations, registered and censored mail etc. 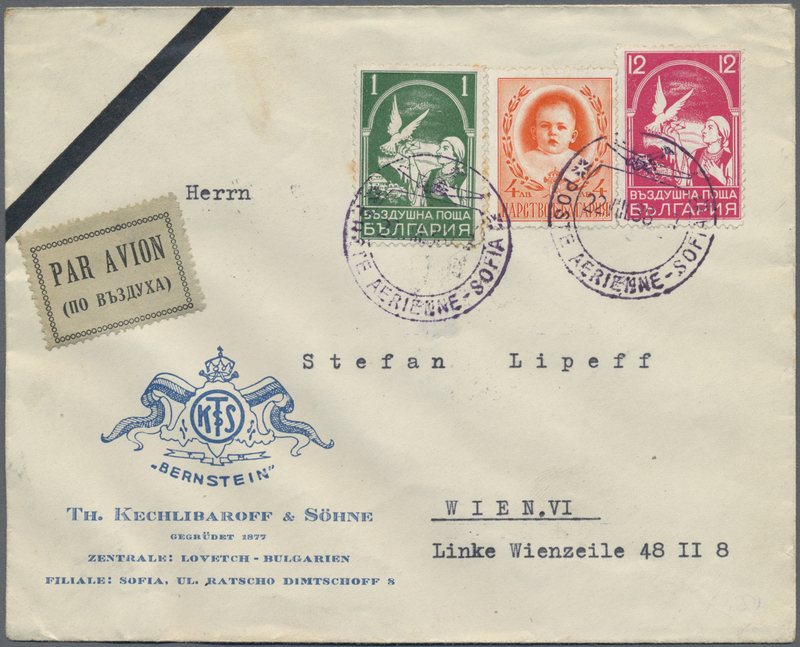 34446 Brief (cover) 1910/1930 (ca. 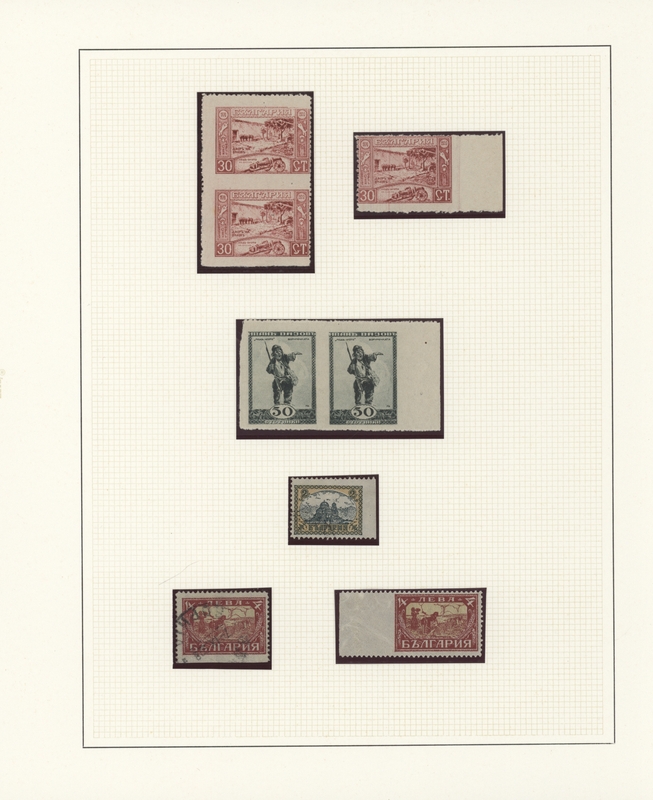 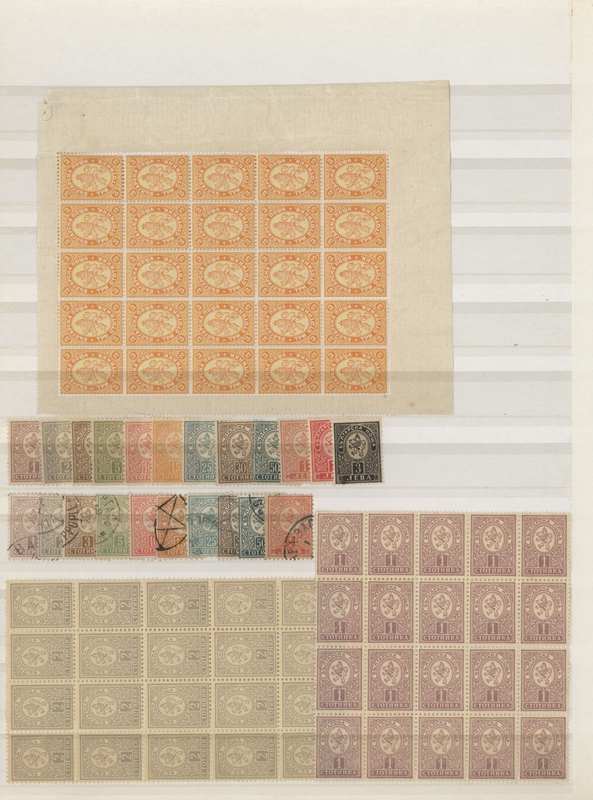 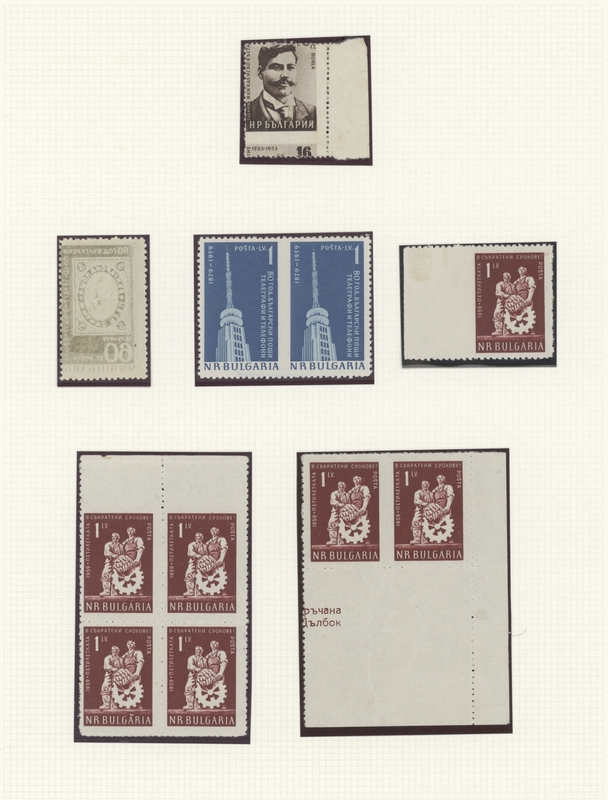 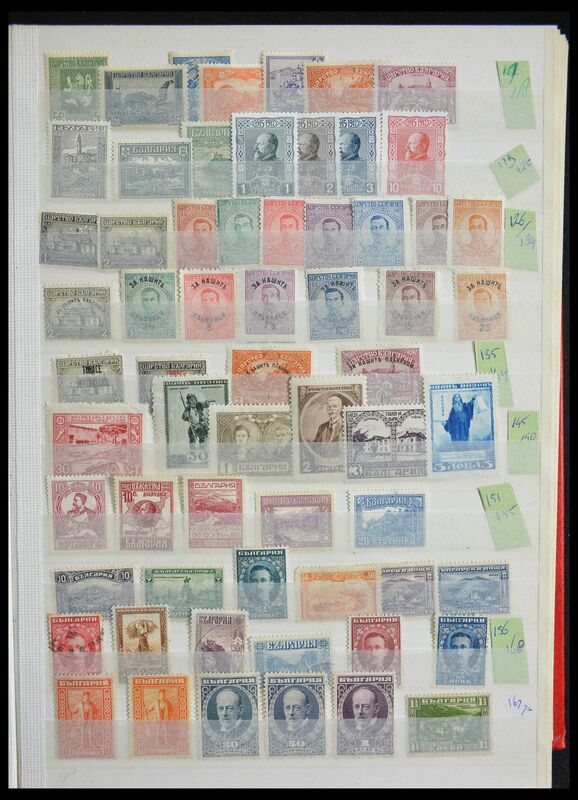 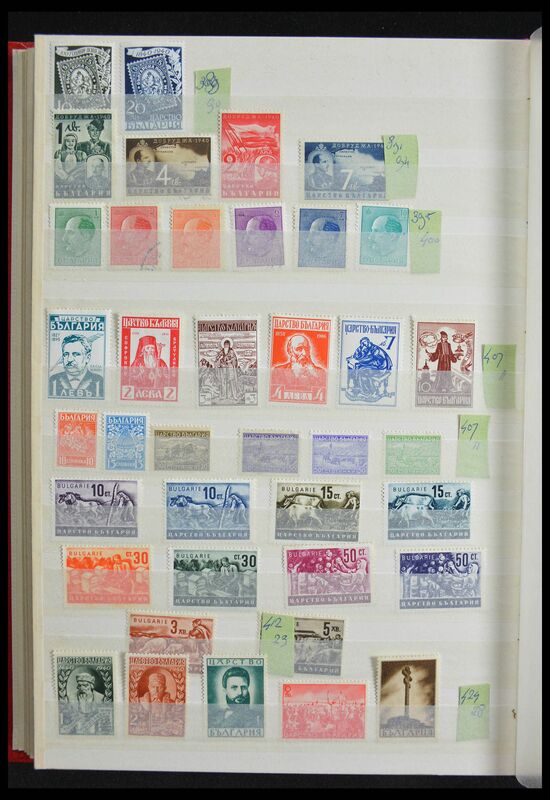 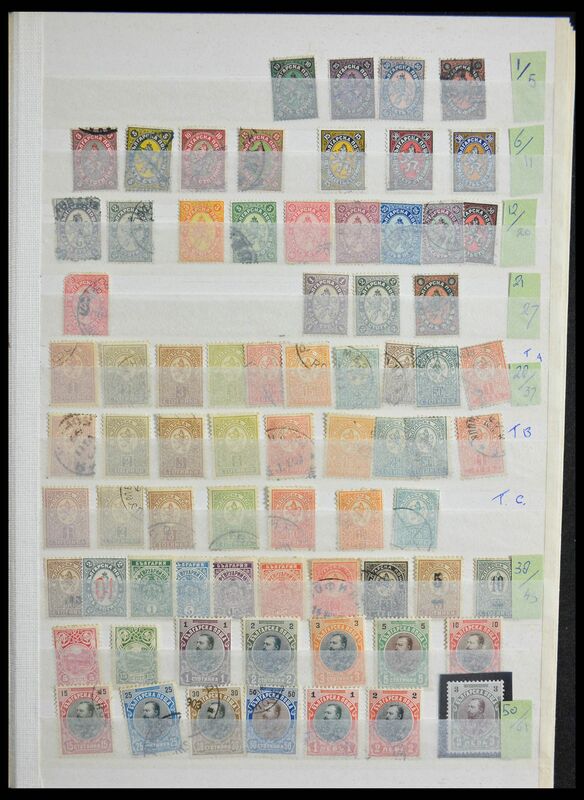 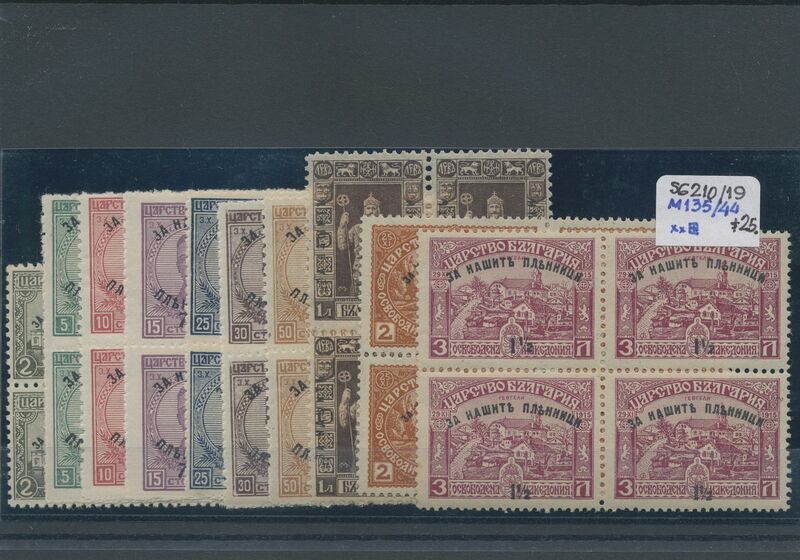 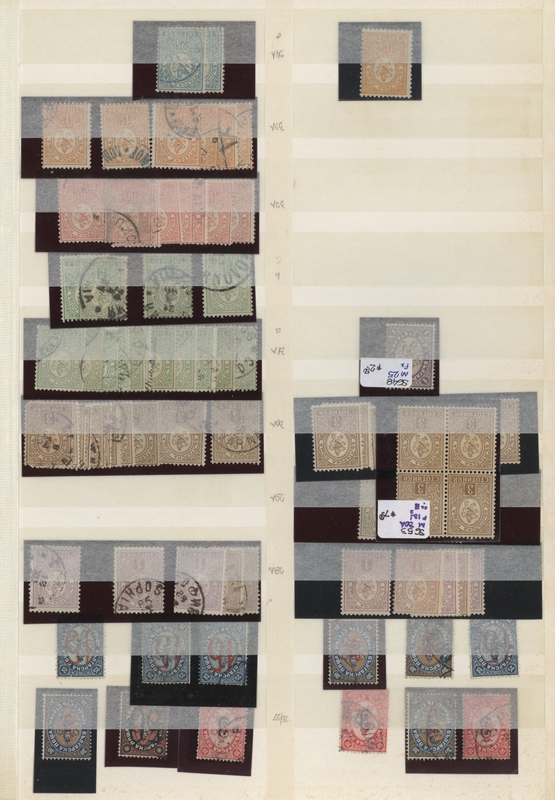 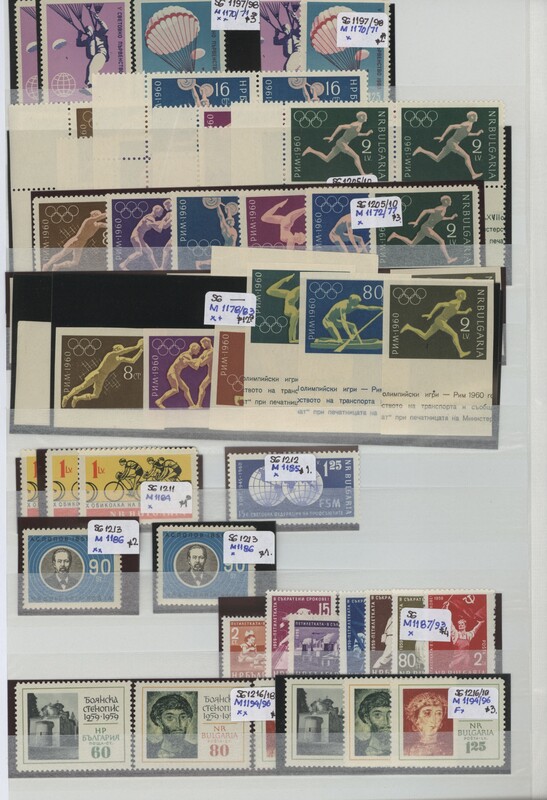 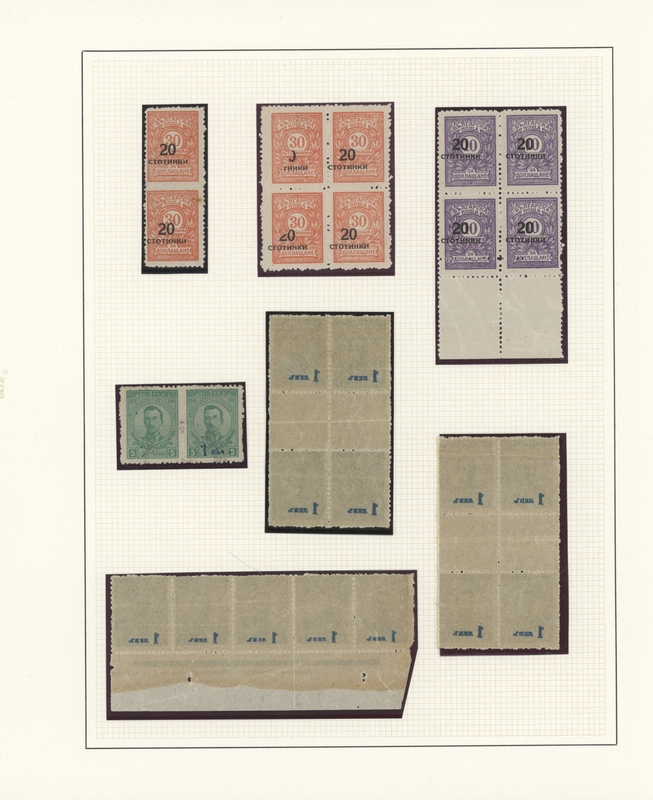 ), assortment of 17 covers cards, comprising interesting frankings, nice combinations, registered and airmail etc. 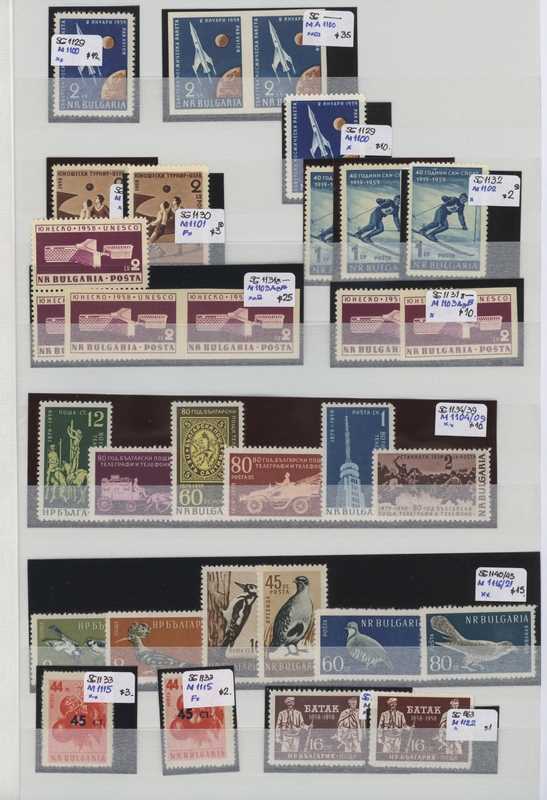 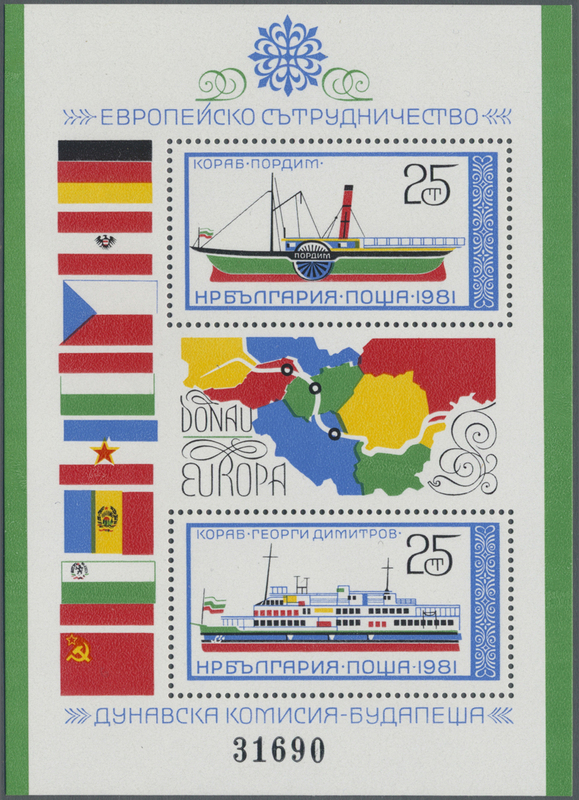 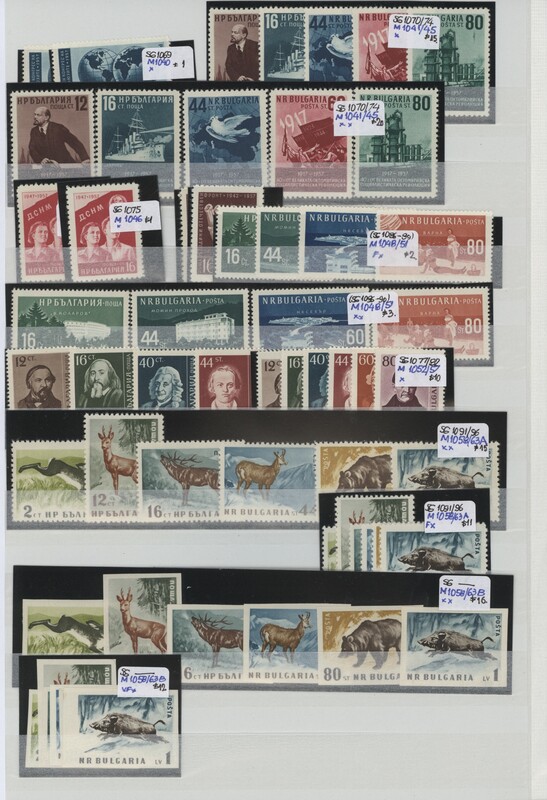 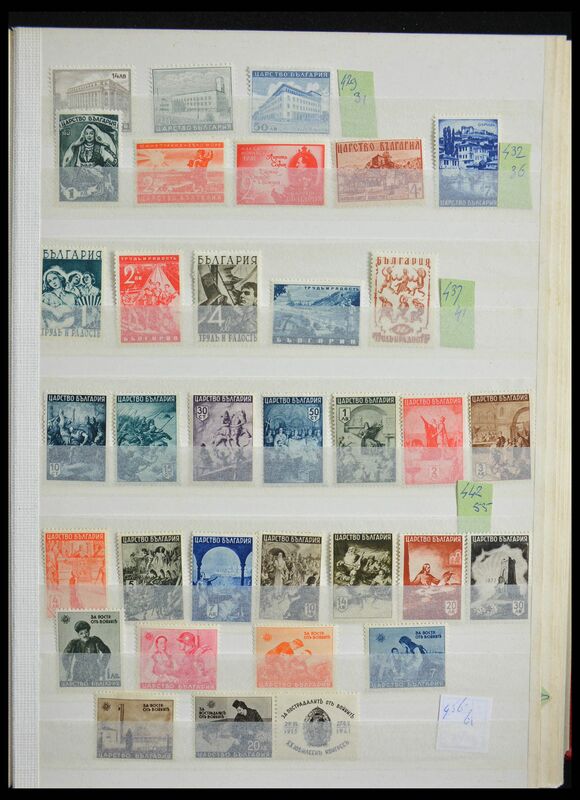 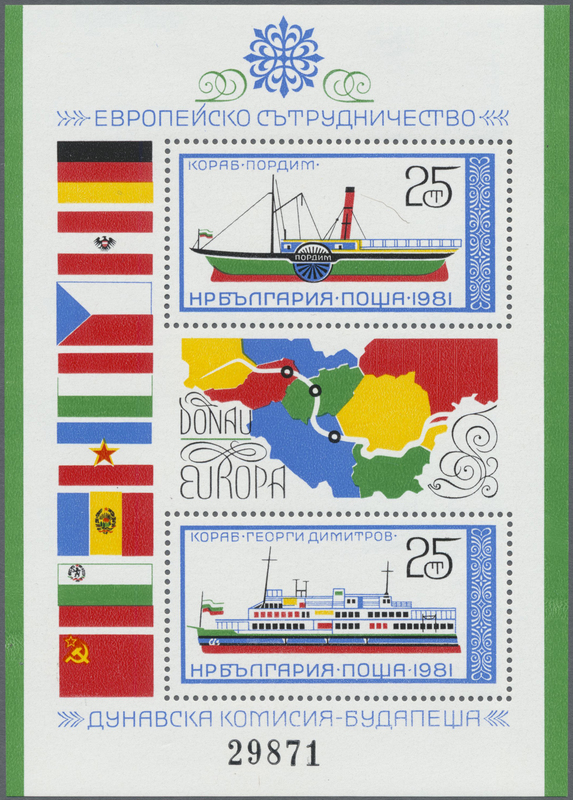 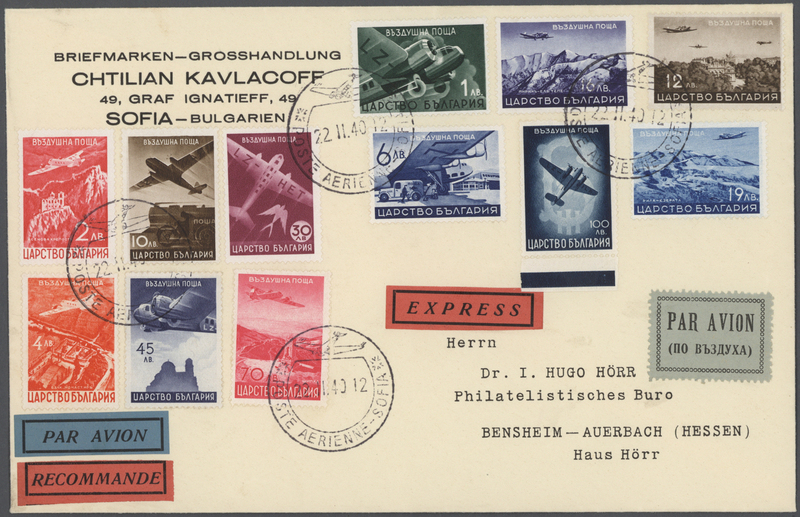 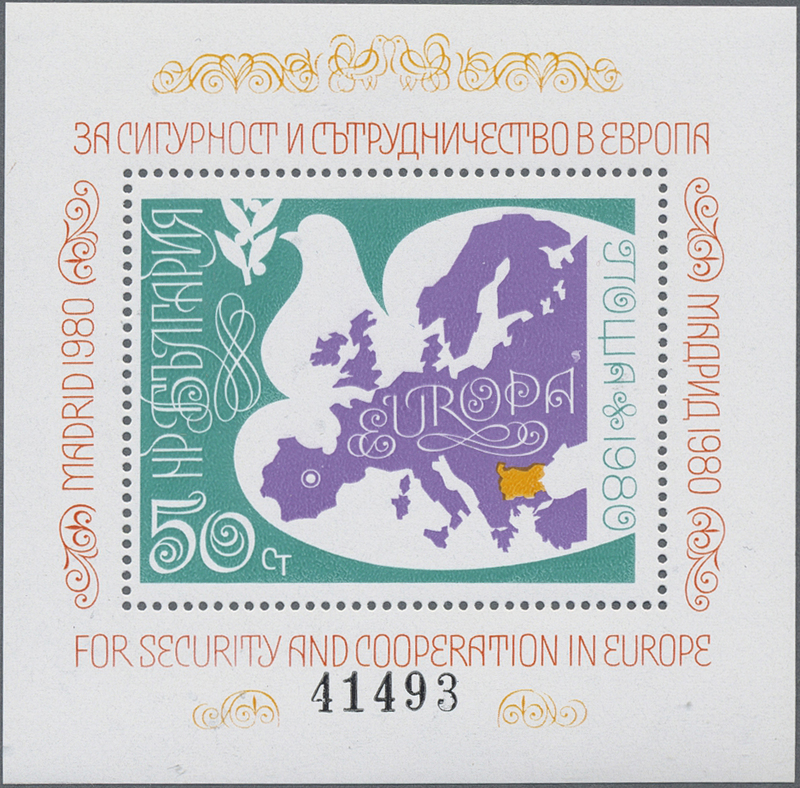 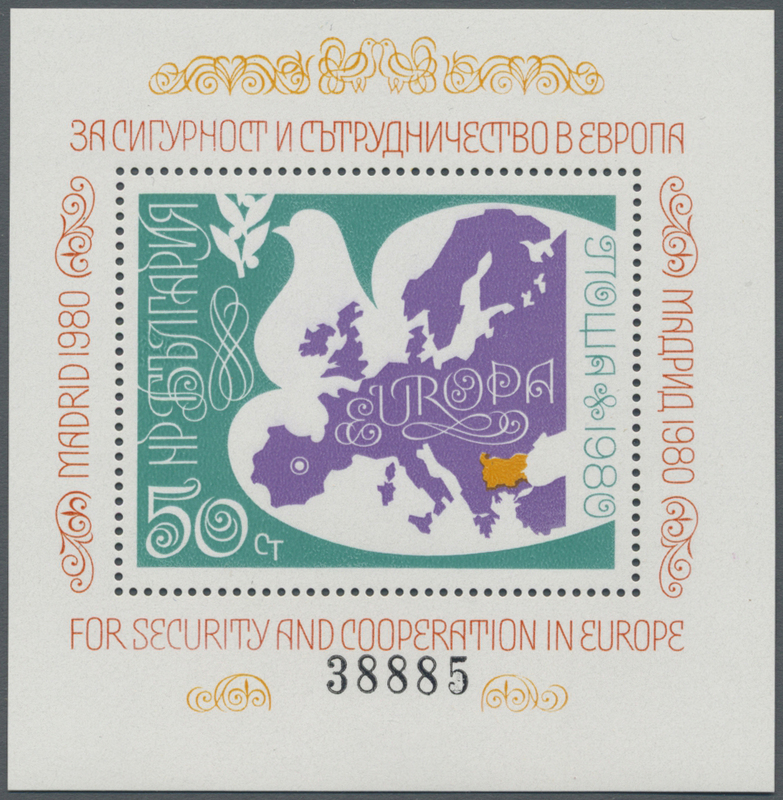 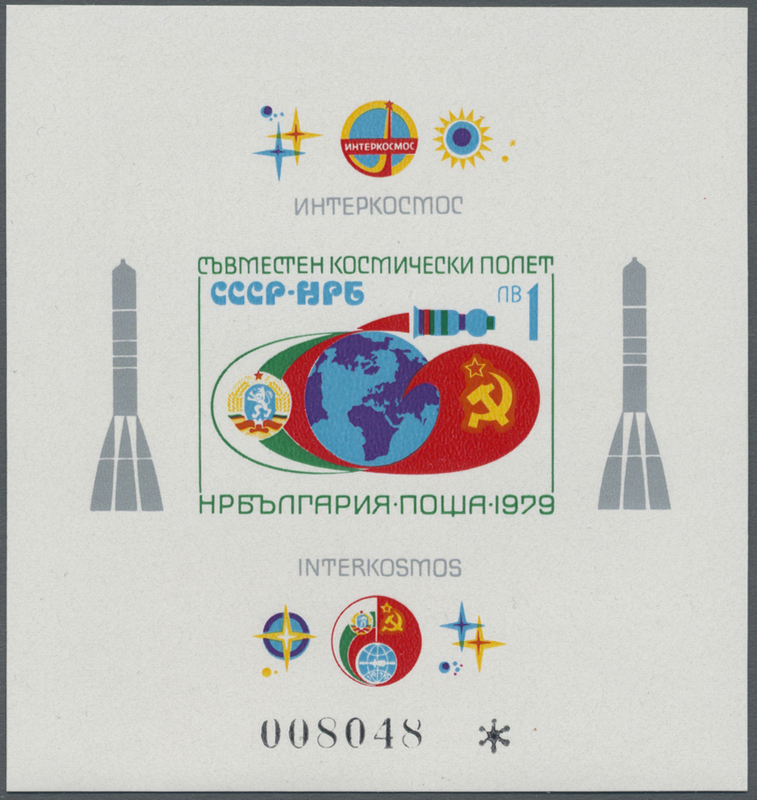 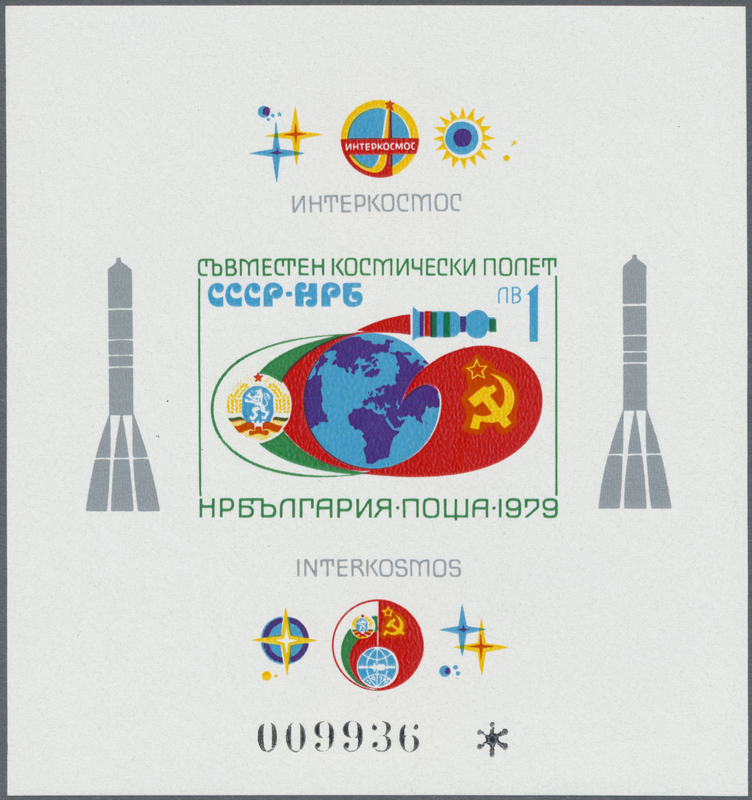 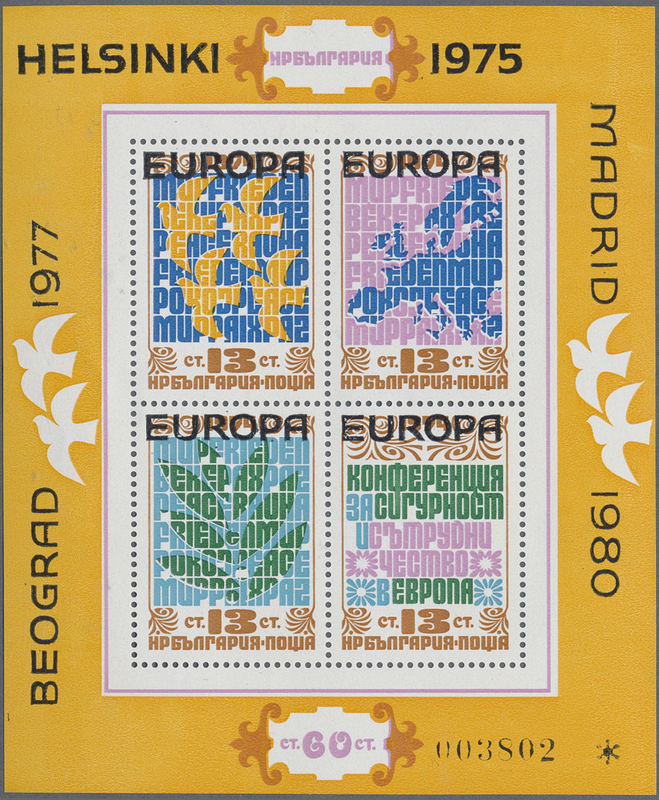 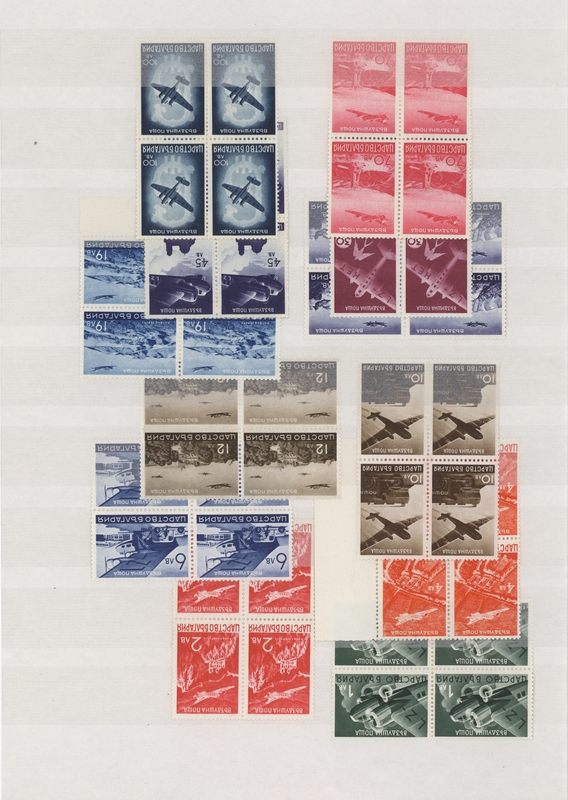 34449 postfrisch (never hinged) ** 1920/1984, u/m assortment of stamps and souvenir sheets on retail cards, comprising early imperf. 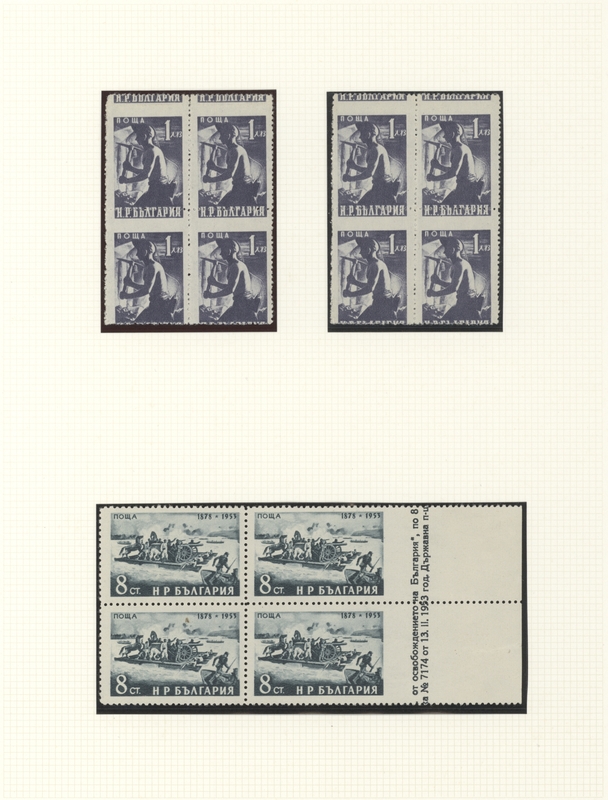 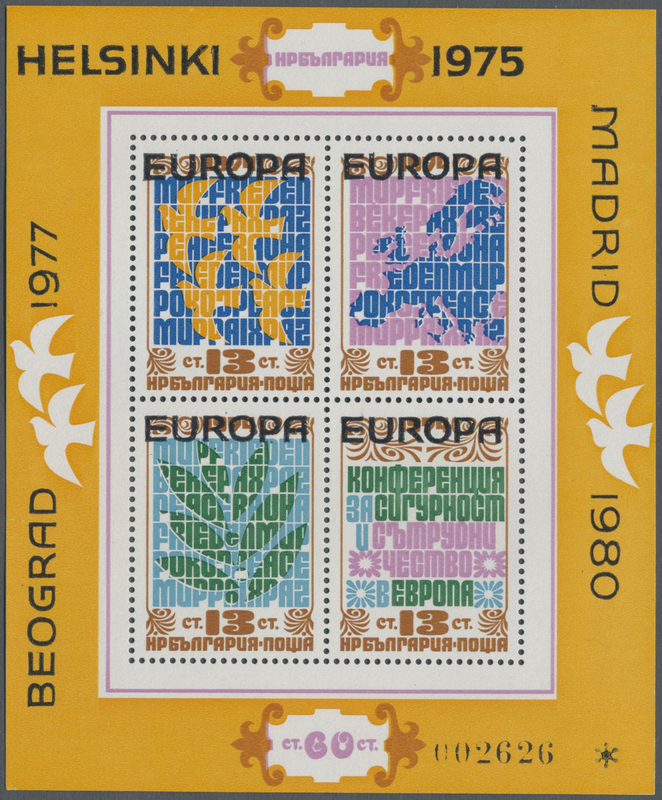 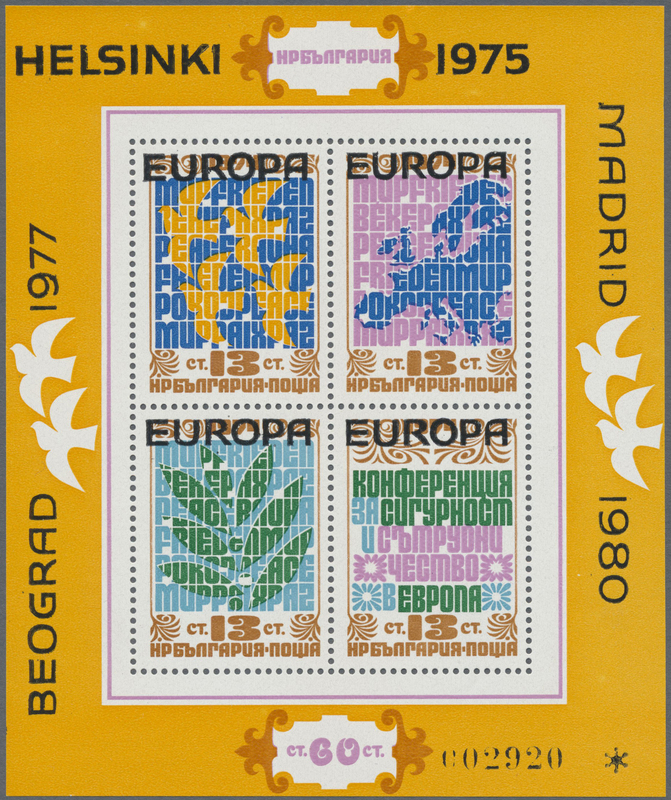 stamps, commemoratives in blocks of four, Michel no. 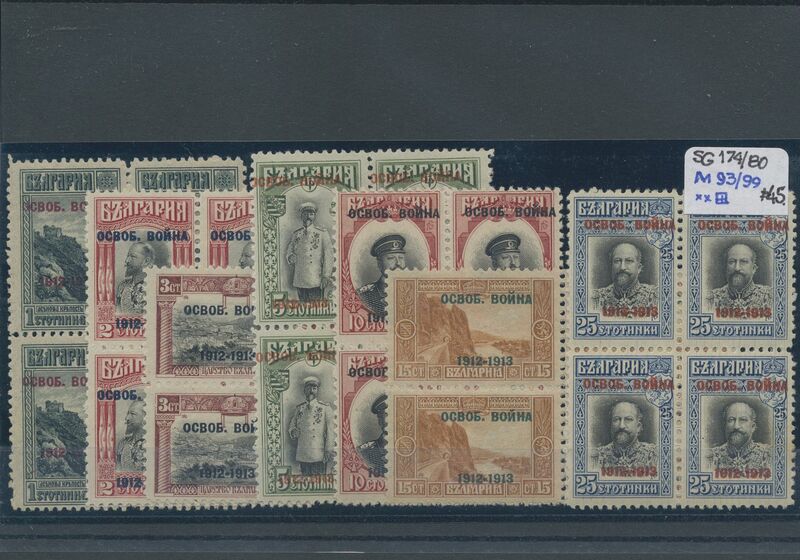 129 block of twelve gummed on both sides, two pairs 1959 PTT souvenir sheets etc. 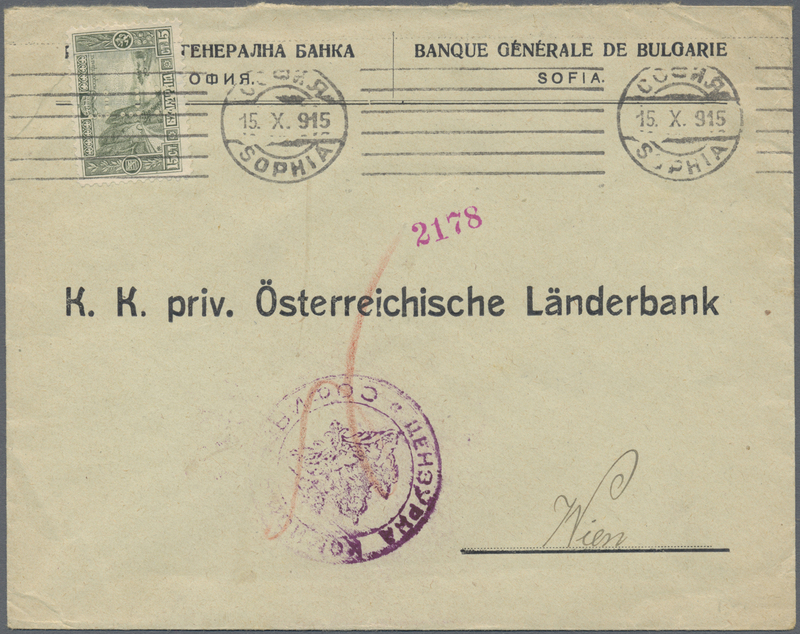 34450 Brief (cover) 1933/1947, assortment of 20 (mainly commercial) covers/cards, comprising interesting frankings, nice combinations, registered, censored and airmail etc. 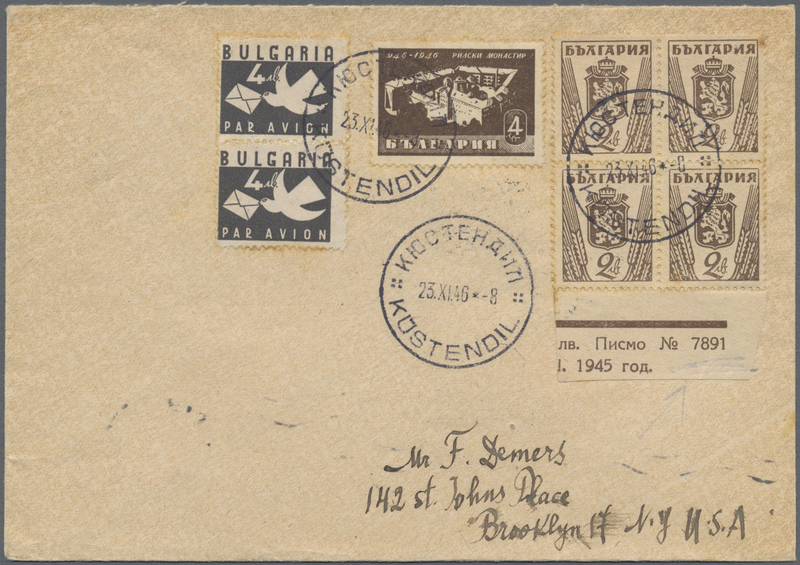 34451 Brief (cover) 1933/1947, assortment of 23 (mainly commercial) covers/cards, comprising interesting frankings, nice combinations, registered, censored and airmail, 1937 souvenir sheet on cover to USA and charged with postage dues etc. 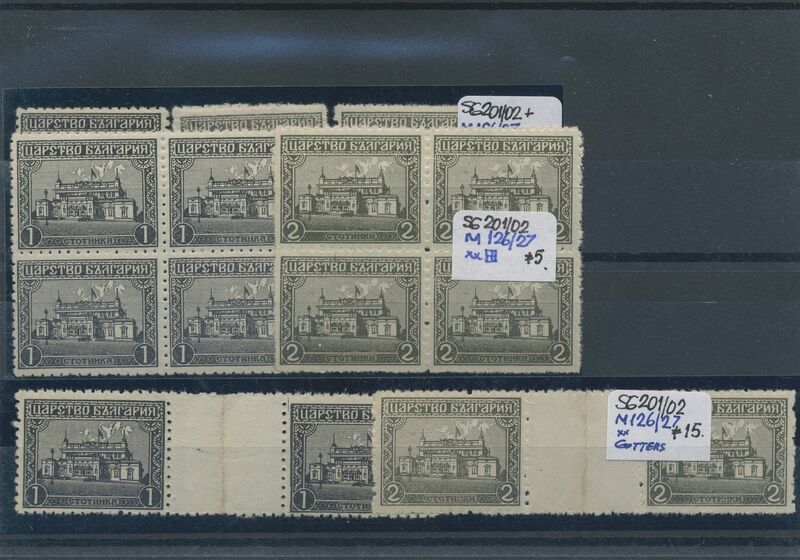 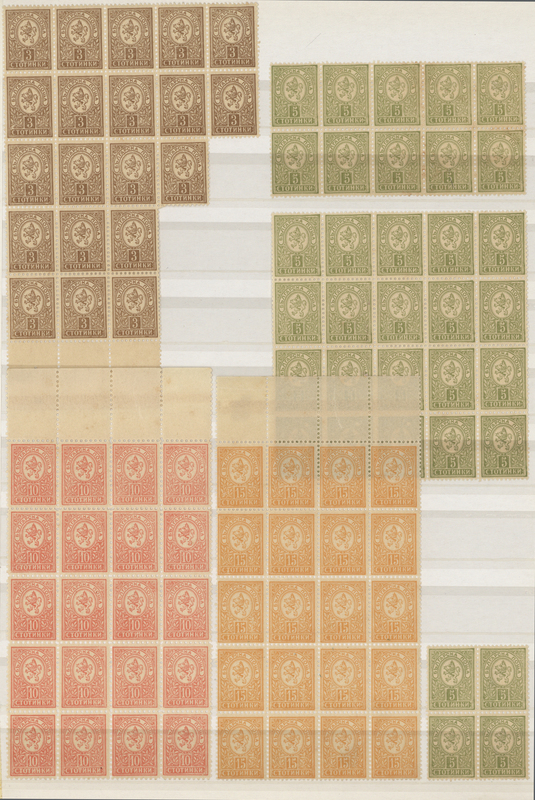 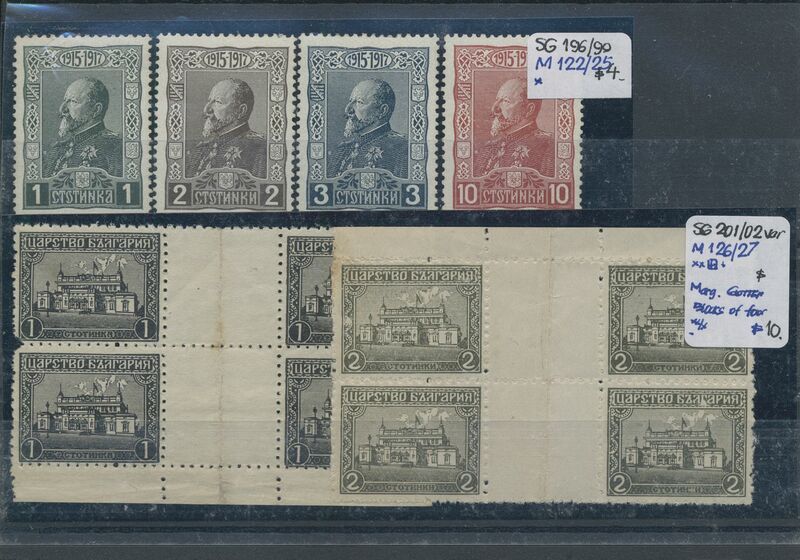 34468 gestempelt (marked) ungebraucht (hinged) * 1884/1921, used and mint lot of 27 stamps from 1st issue, also some imperfs and shades. 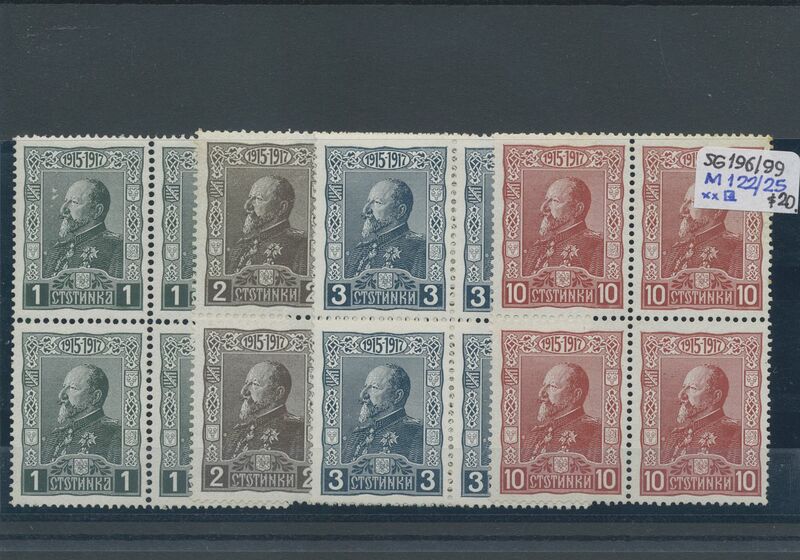 34471 Ganzsache (Complete) 1879/1938, lot of 31 used and unused stationeries, incl. 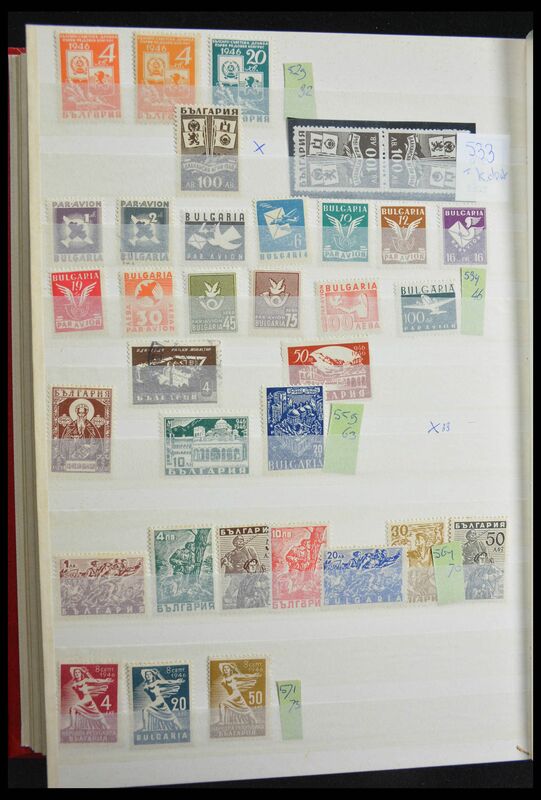 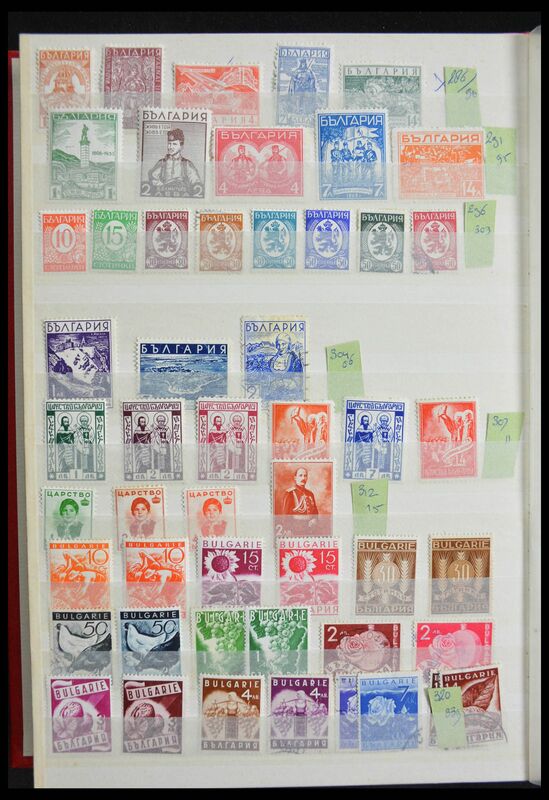 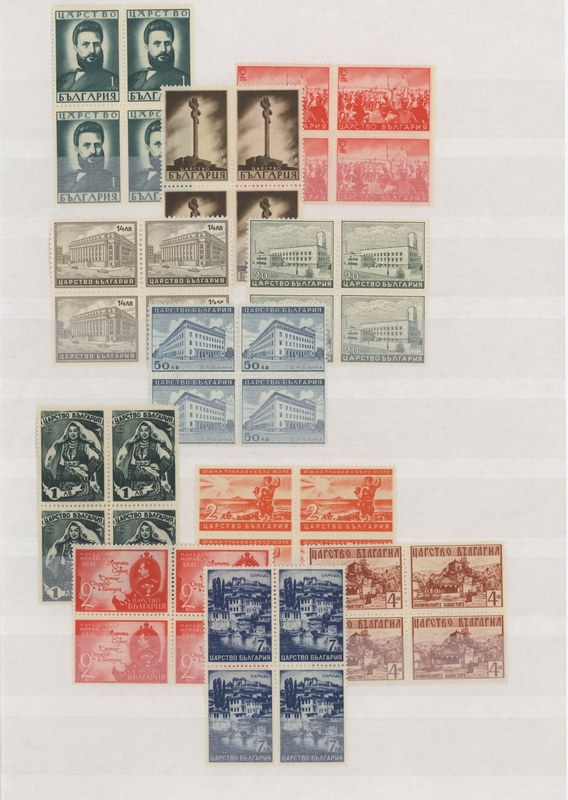 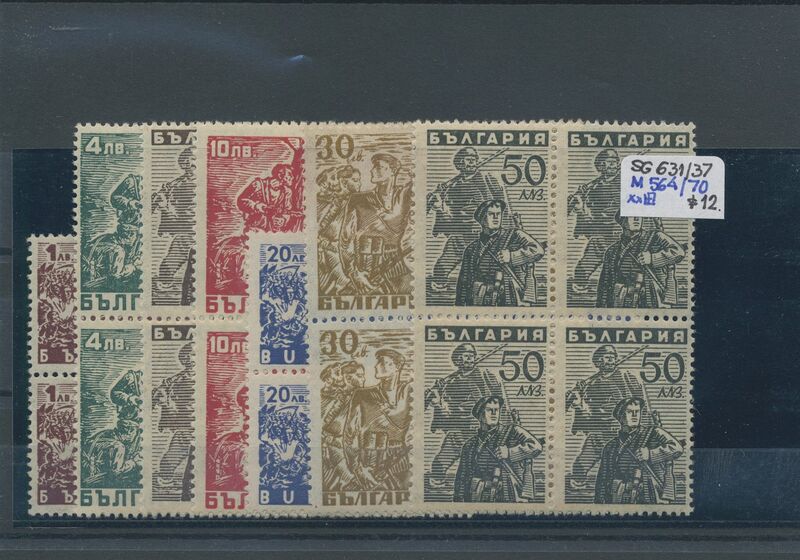 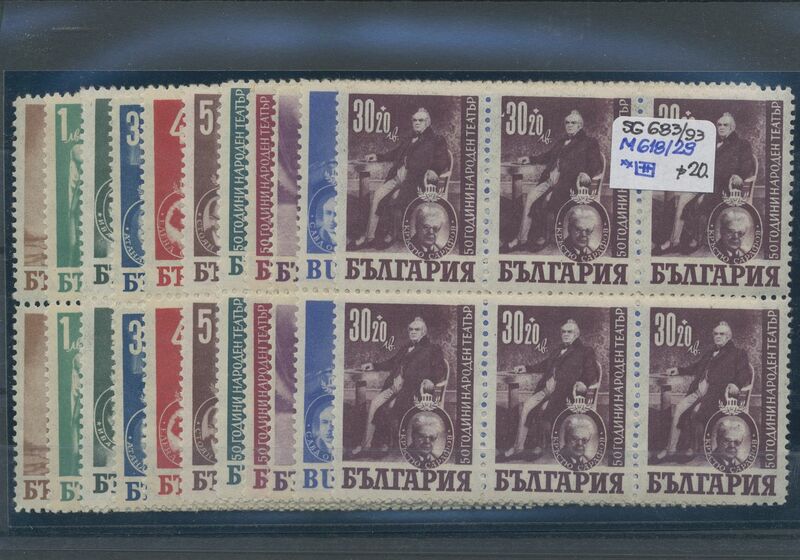 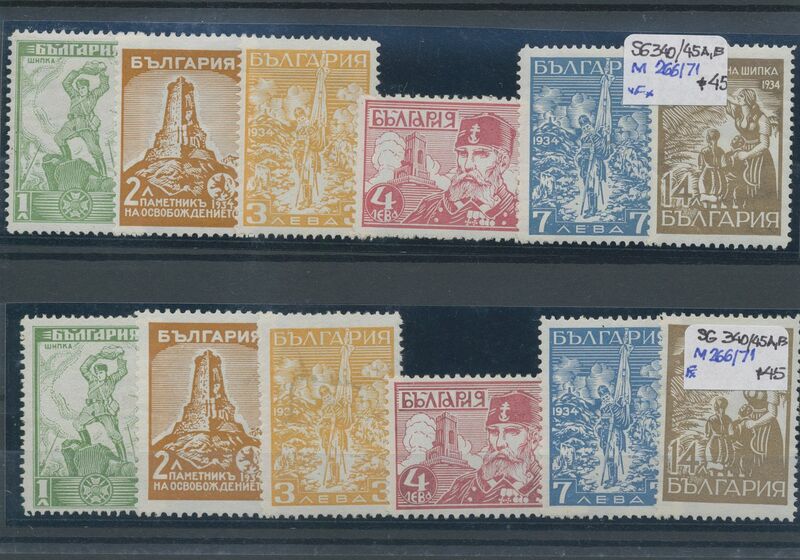 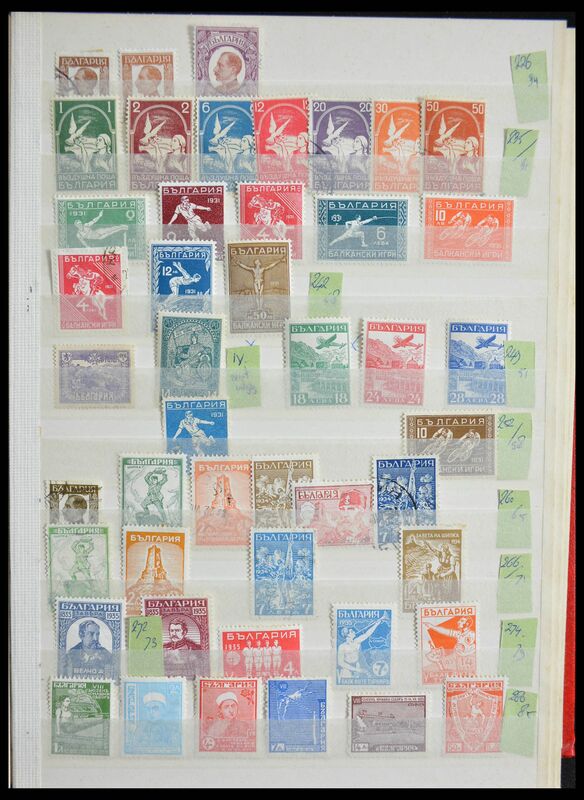 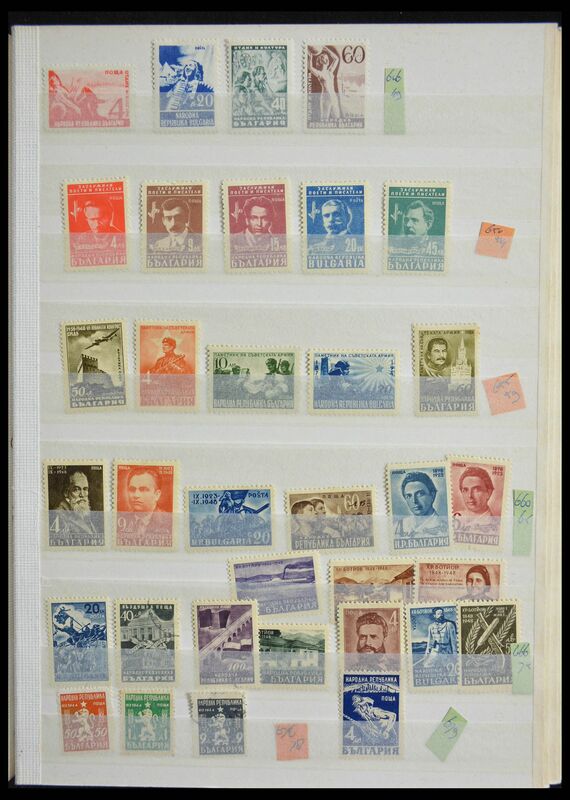 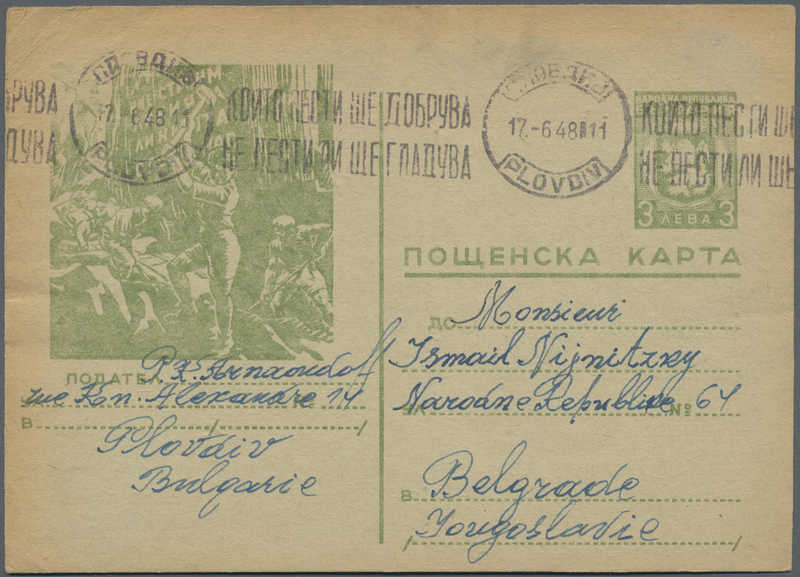 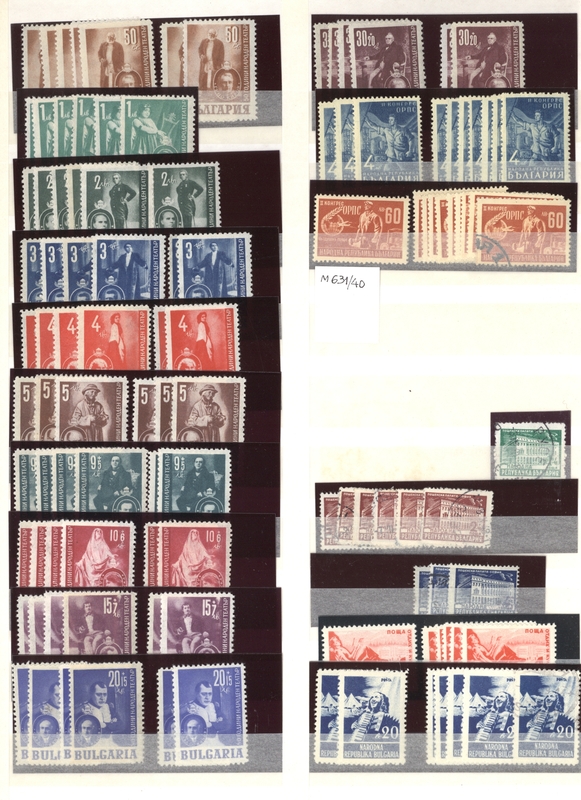 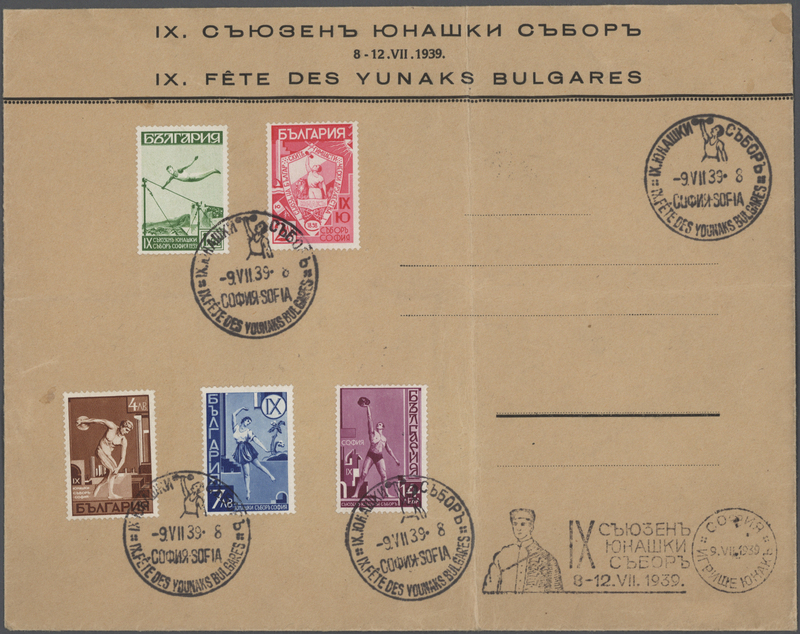 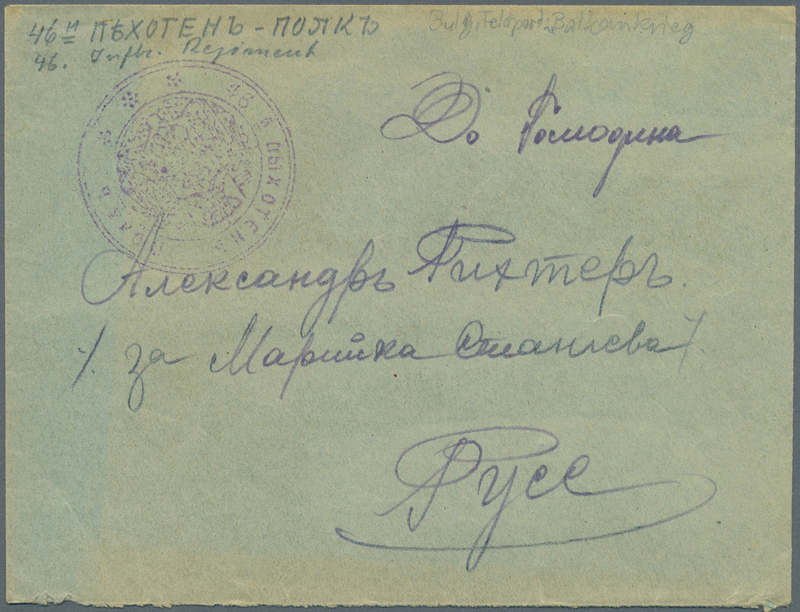 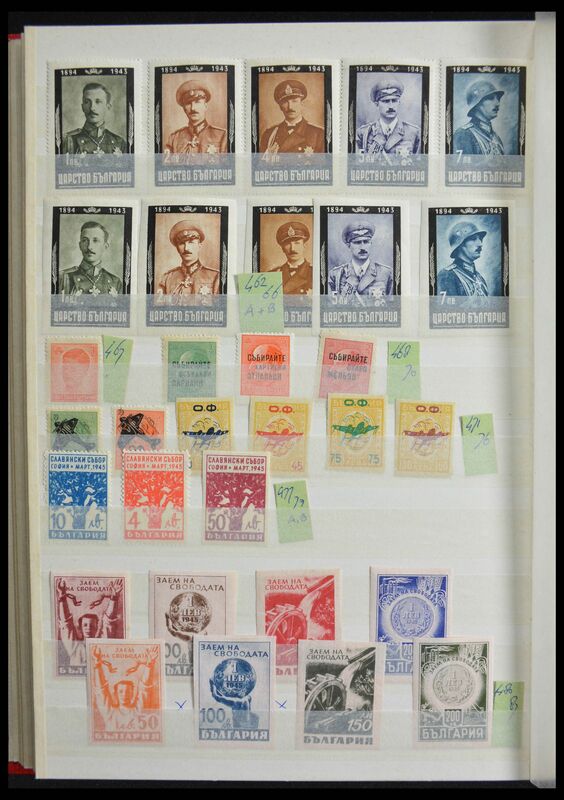 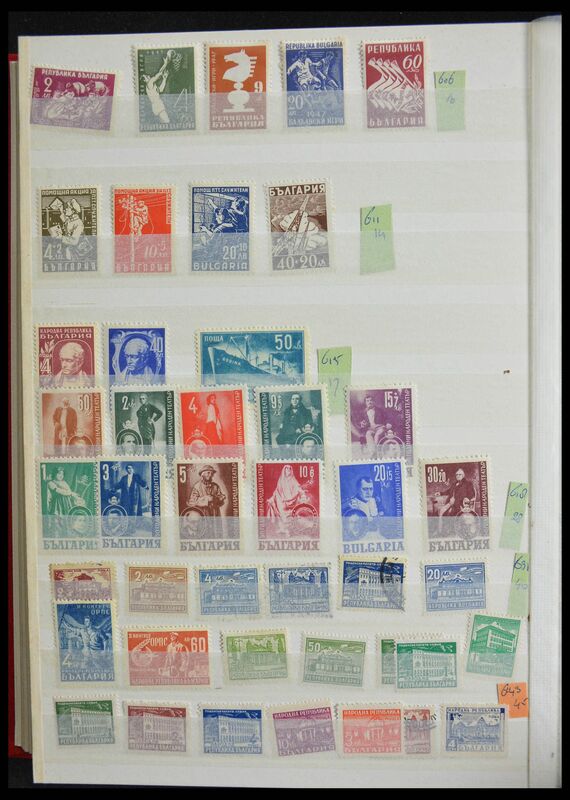 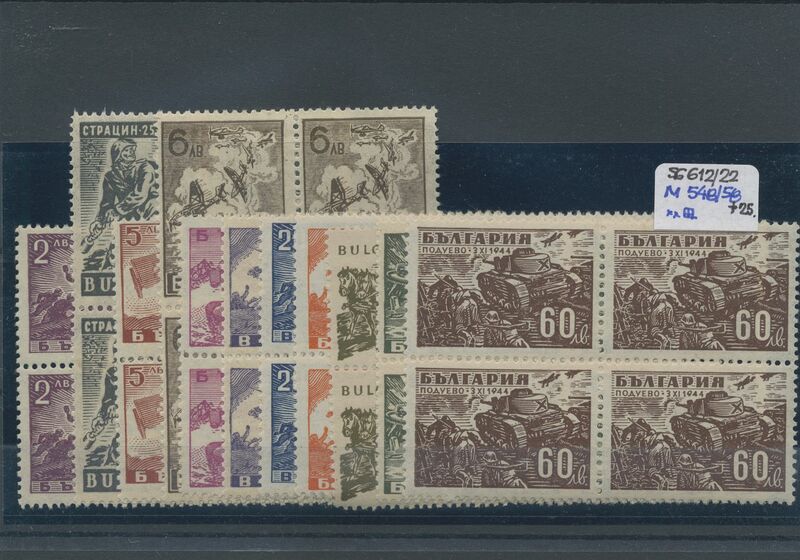 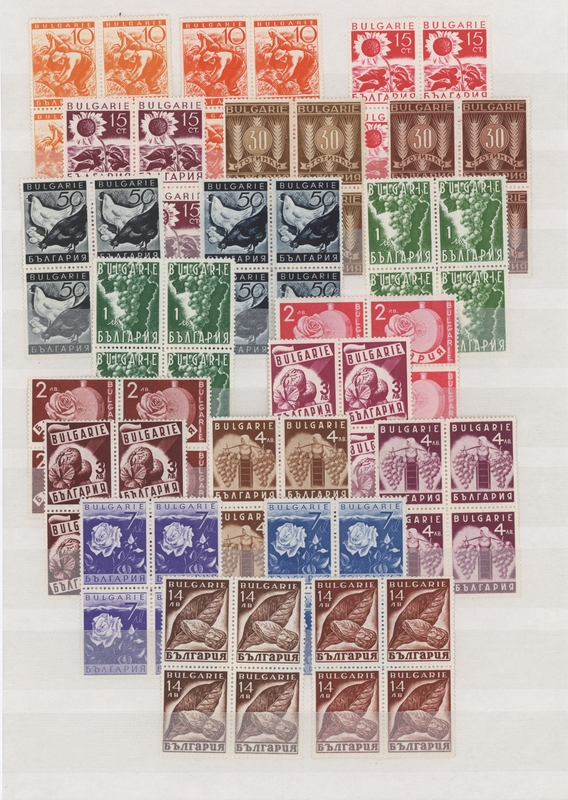 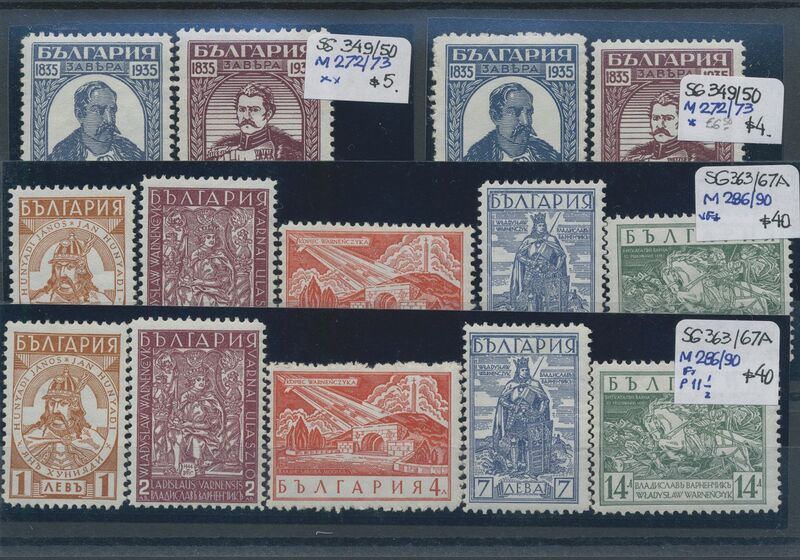 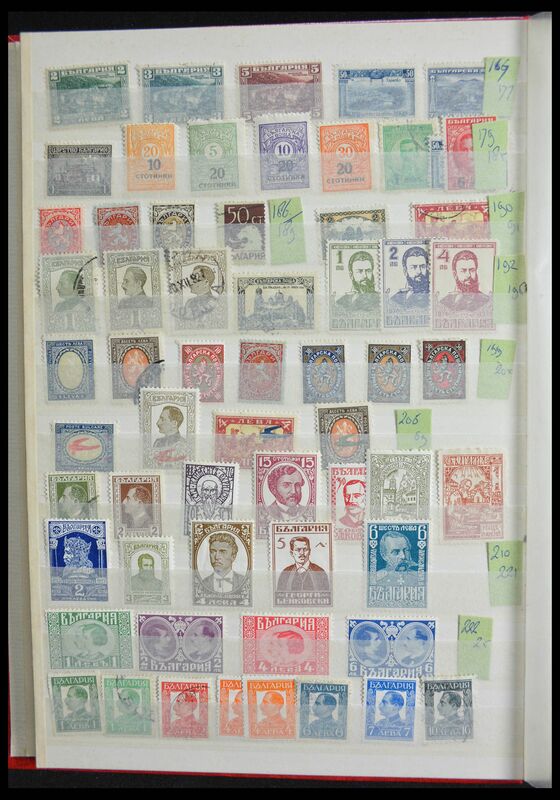 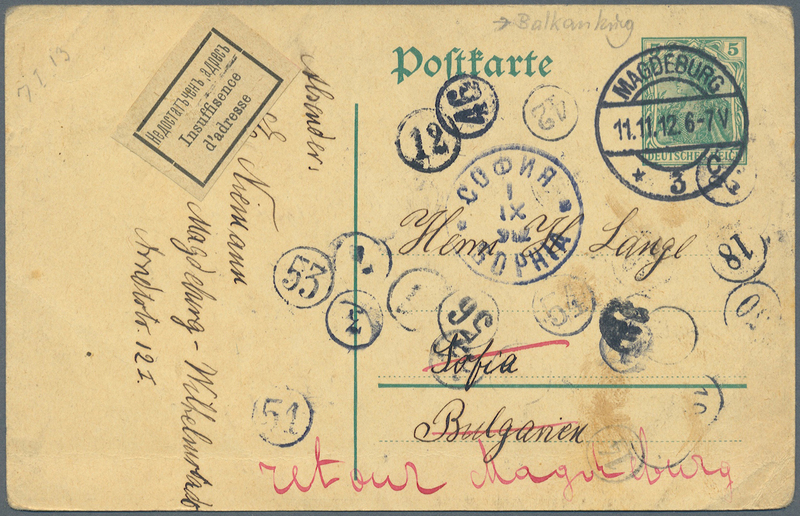 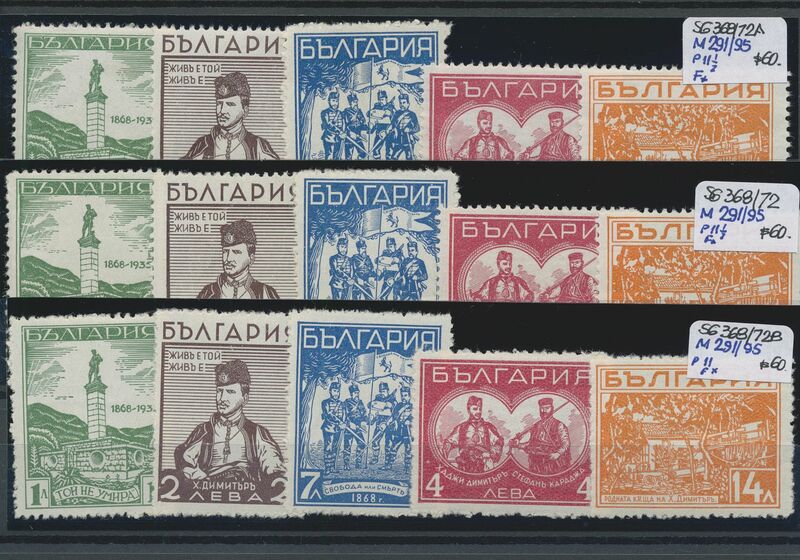 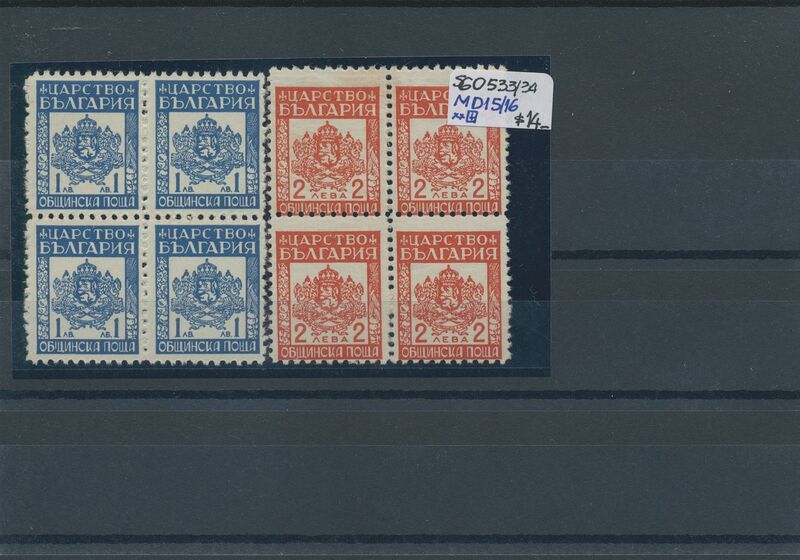 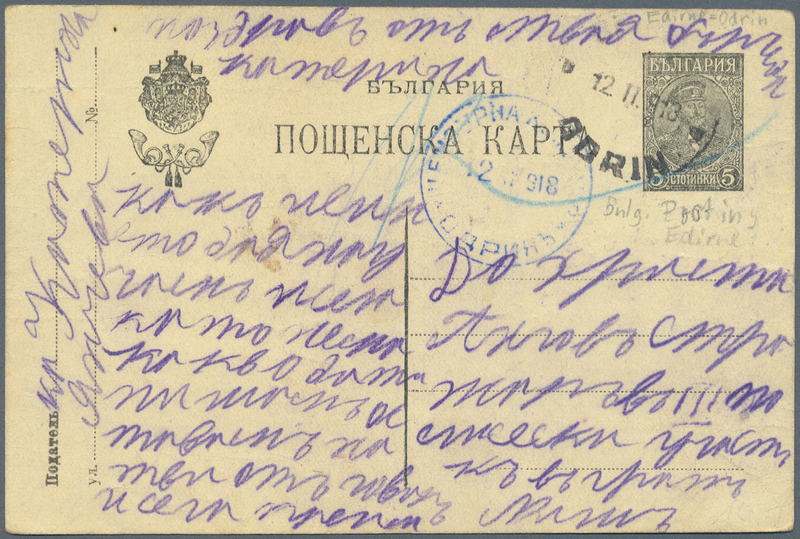 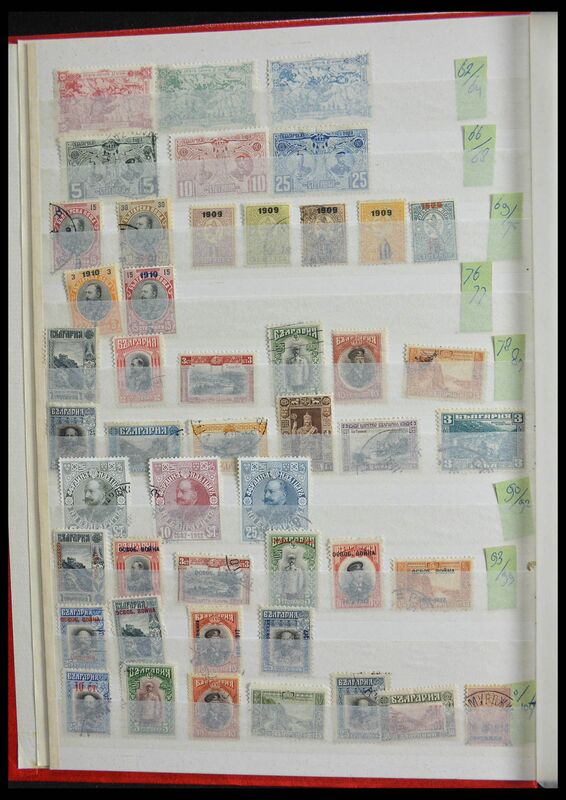 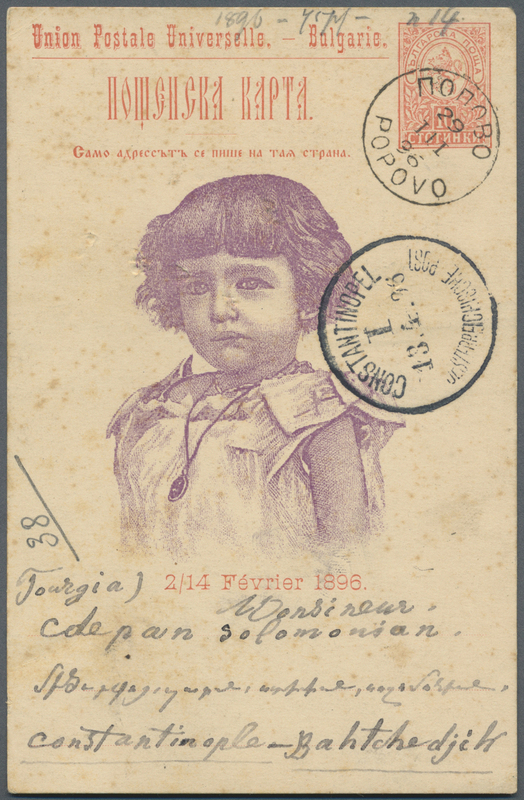 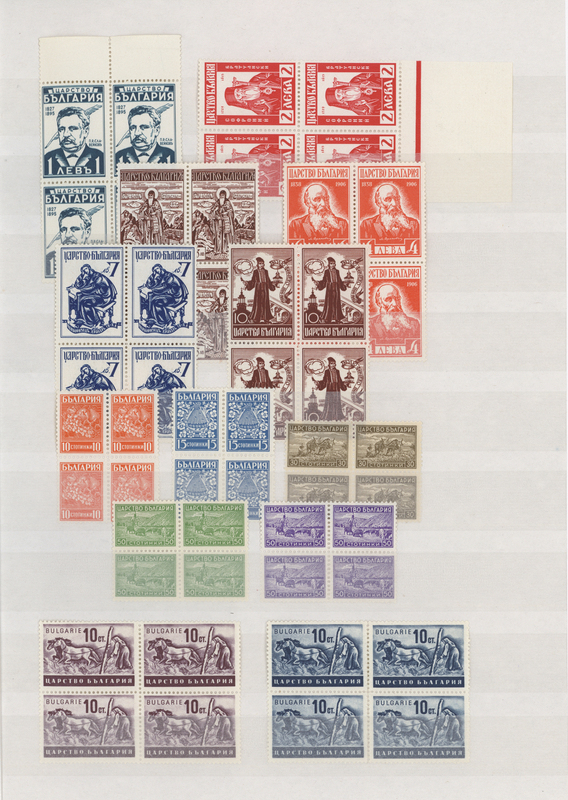 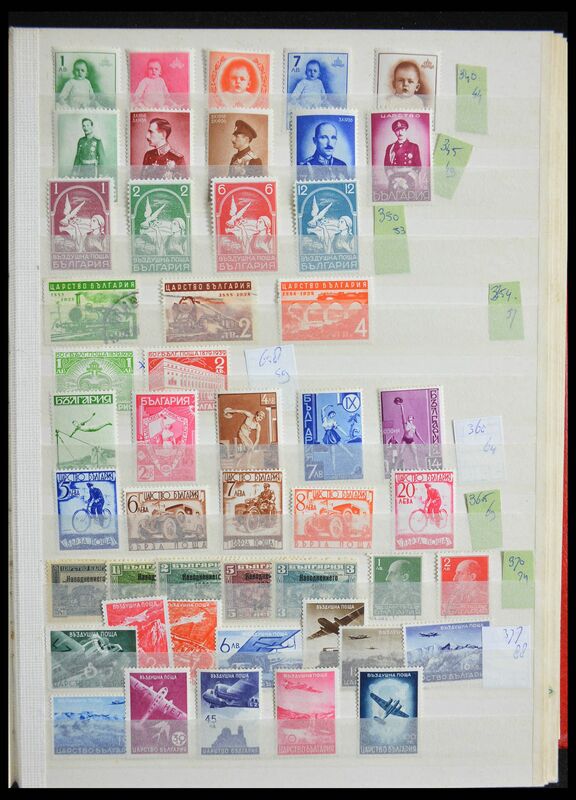 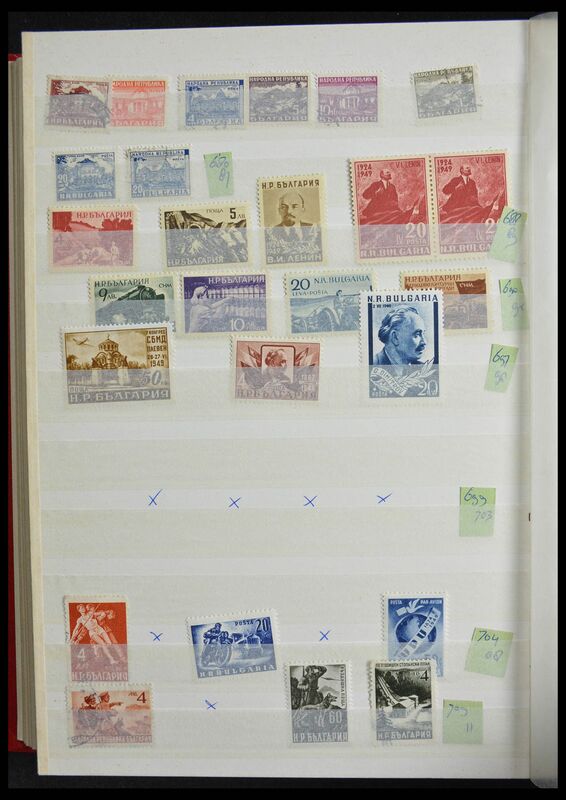 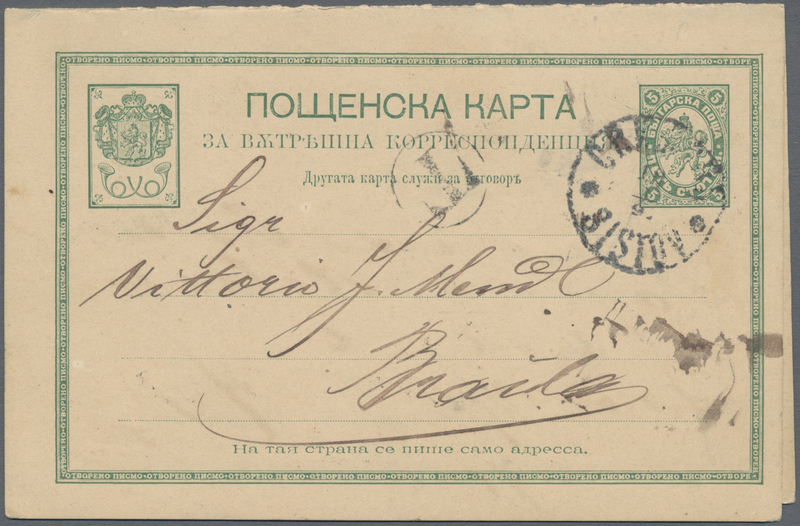 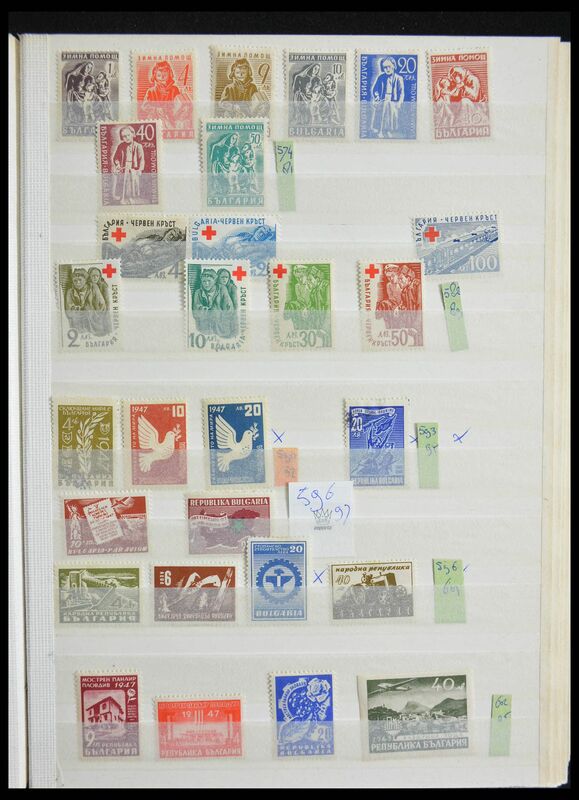 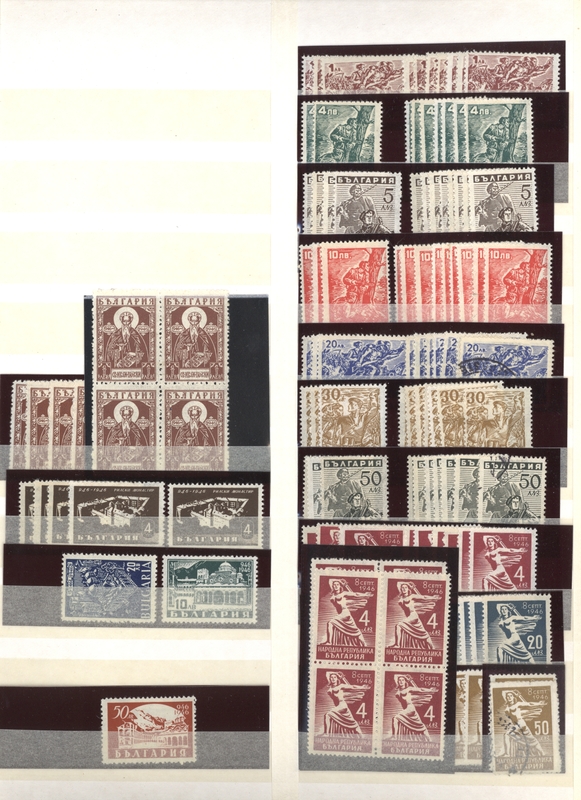 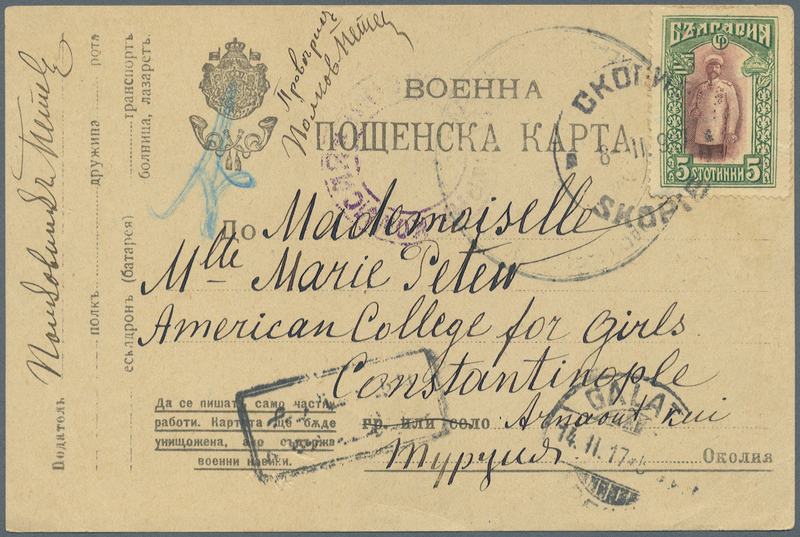 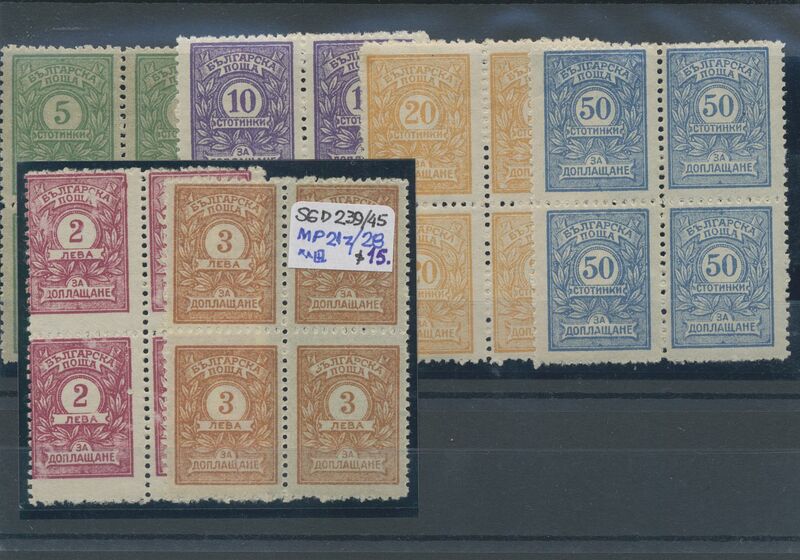 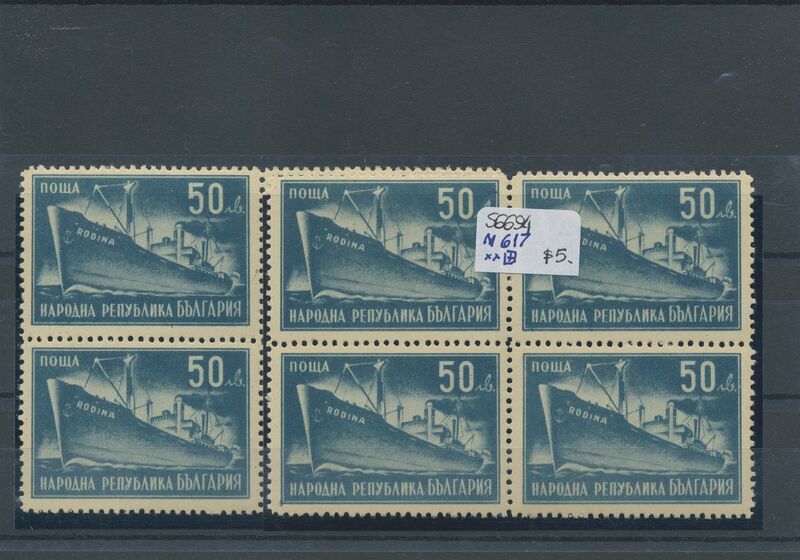 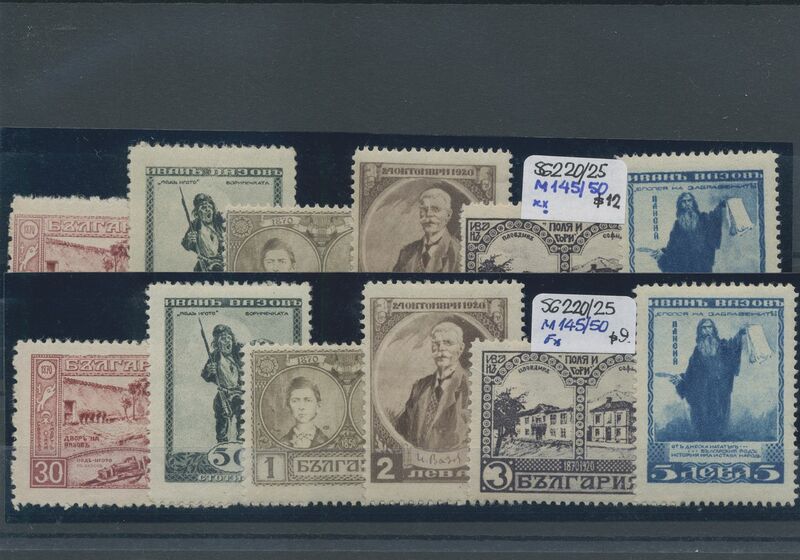 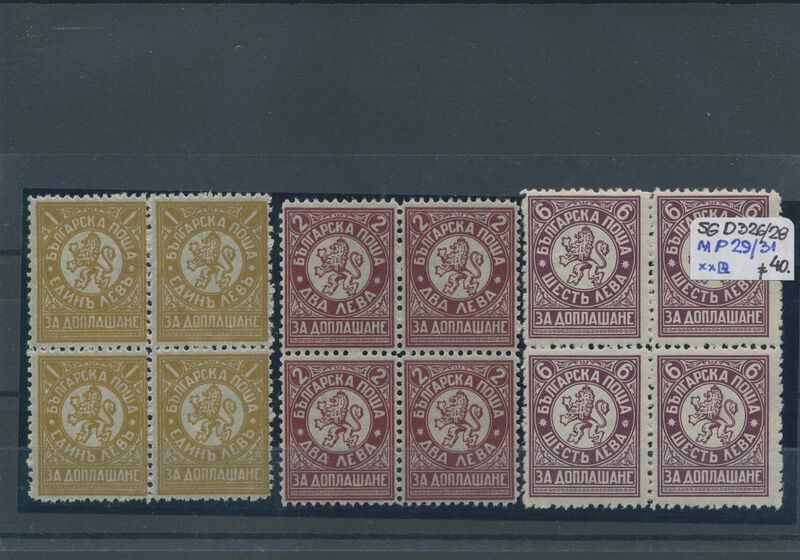 uprated pieces, airmail, 1916/1917 WW I Bulgarian occupation of Montenegro/Serbia etc. 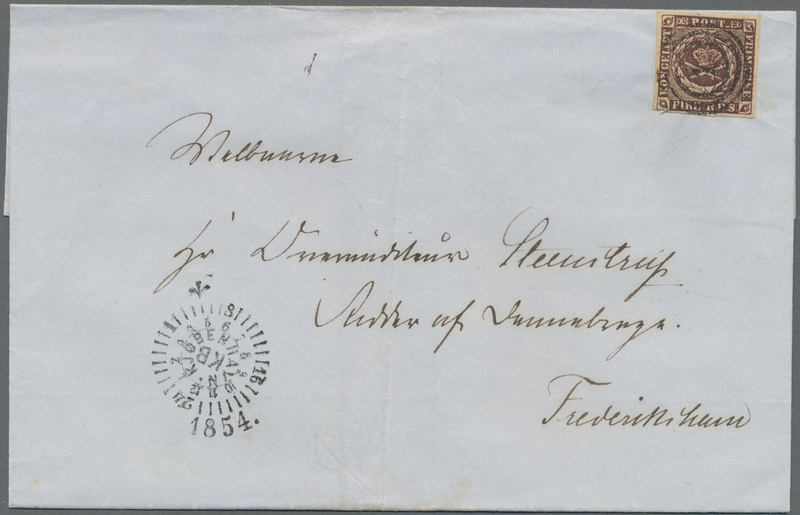 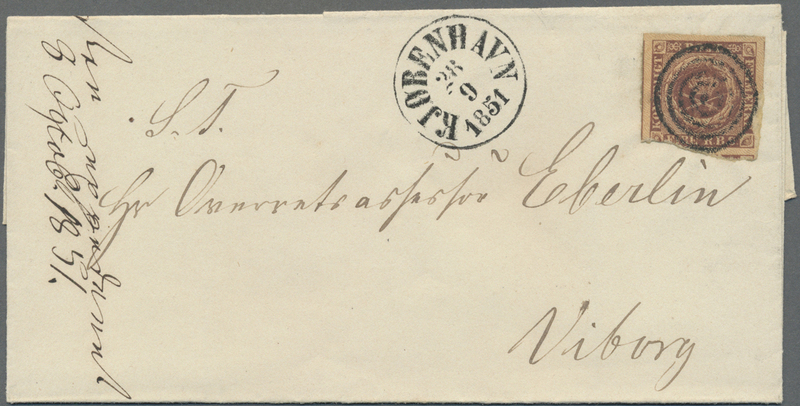 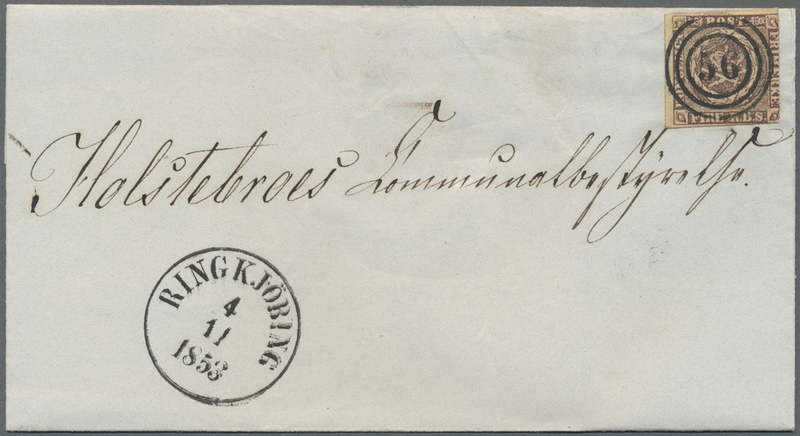 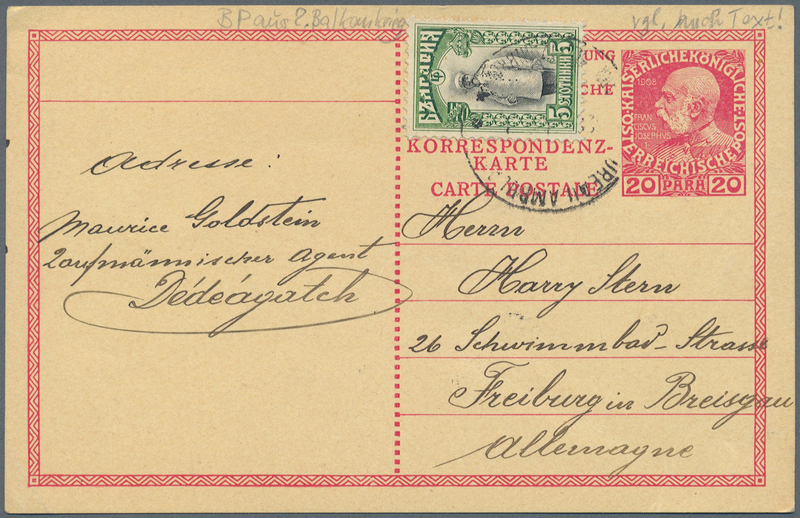 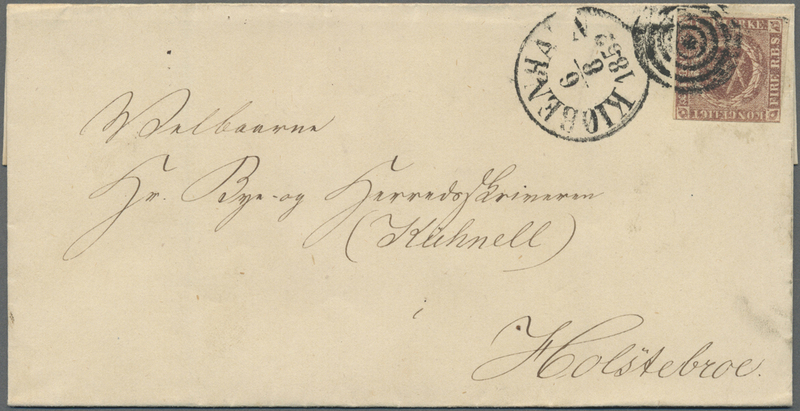 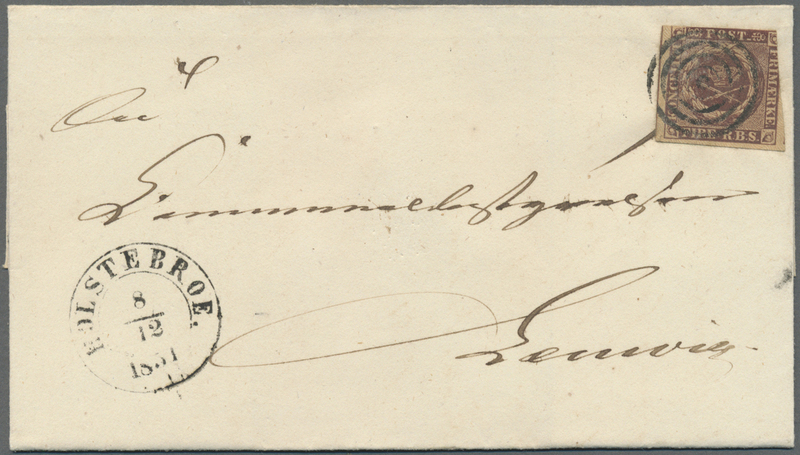 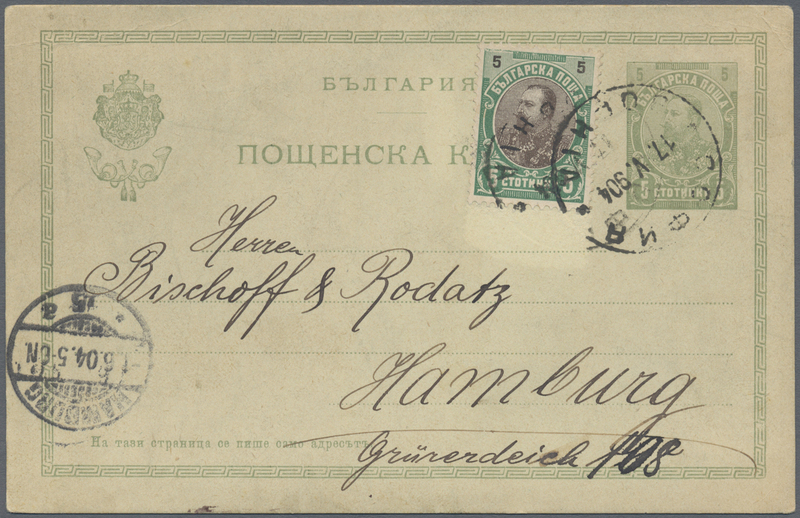 34474 gestempelt (marked) Brief (cover) 1851/1869 (ca. 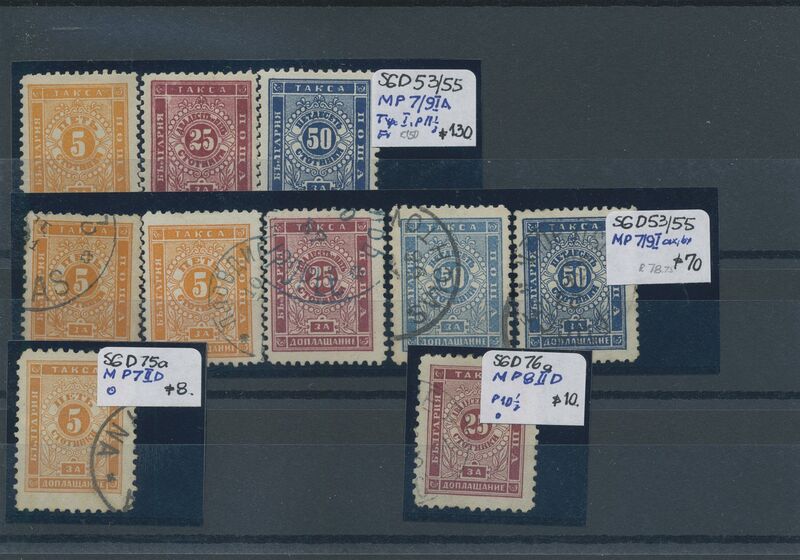 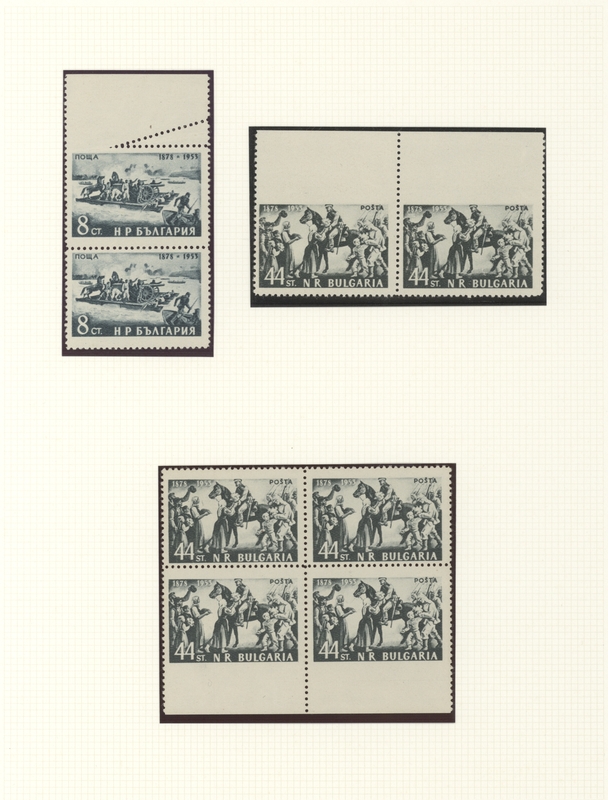 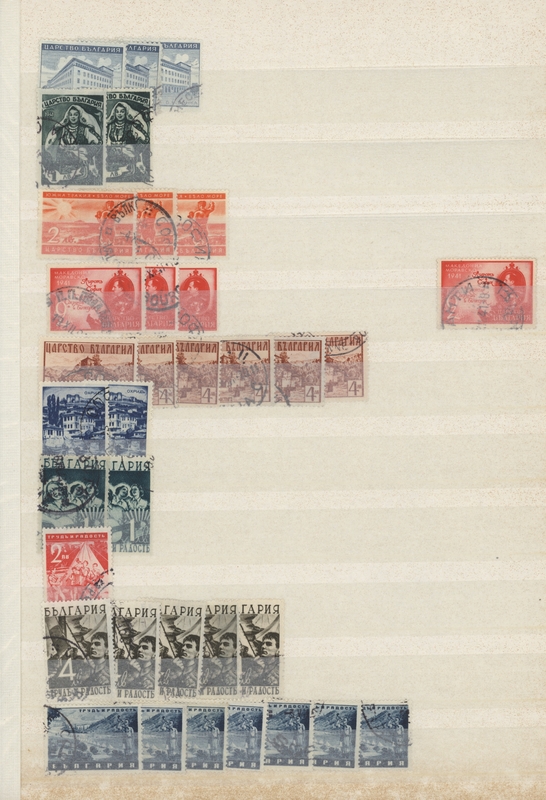 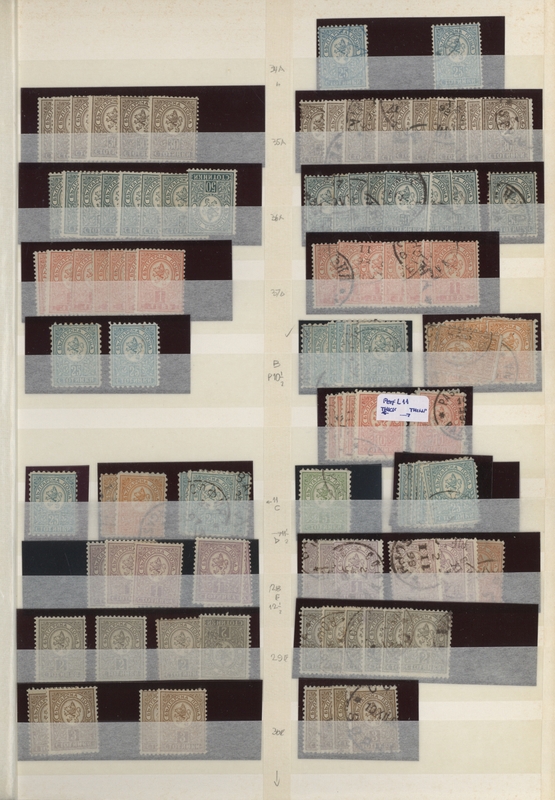 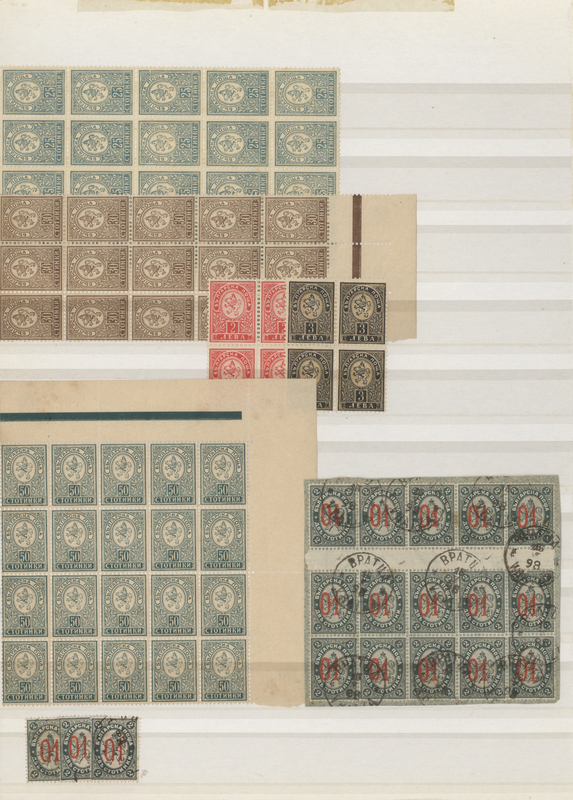 ), interesting numeric cancel collection only on letters with first issues, including No.1 single franking, multiple franking in pairs, few loose stamps, better destinations etc.